Ontario is fortunate to rely on a number of powerful strengths that allow it to succeed in a competitive world. The province has a skilled and educated workforce, a diversified economy, abundant natural resources, strong institutions and a privileged location at the crossroads of global and continental trade. Yet, even with these strengths, a 15-year legacy of economic mismanagement from the previous government has left Ontario punching below its weight in the Canadian federation, trailing the national average in real GDP growth over most of the last 16 years. The province’s traditional position as the economic engine of Canada has been eroding due to the high cost of doing business in Ontario, excessive red tape and regulatory burdens, and past governments that did not respect the critical role played by the private sector in the economy. At the same time, the provincial economy is facing increased competition due to U.S. federal tax reform, as well as challenges posed by U.S. protectionism related to the steel, aluminum and softwood lumber sectors and “Buy America” policies. In addition, the federal carbon tax is expected to negatively impact Ontario’s businesses through higher costs. Ontario’s Government for the People has moved quickly to address challenges to the provincial economy. Swift government actions already taken to reduce costs for businesses will put $5 billion back into the hands of job creators in 2019. As well, the government has taken critical steps to create a pro-jobs environment, whether through efforts to increase the number of skilled workers, or the reduction of red tape and regulatory burdens that used to stand between employers and potential employees. In February 2019, the Ontario Chamber of Commerce (OCC) reported that the proportion of businesses experiencing confidence in the broader economy is up by seven percentage points compared to last year, and the share of businesses lacking confidence in the economy declined by 21 percentage points. Even with these early successes, much more work remains to overcome the recent years of inaction and indifference. 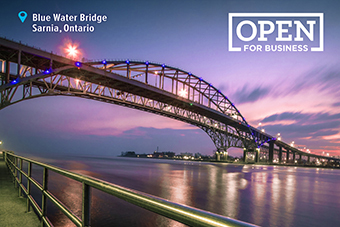 To capitalize on the recent momentum in the economy, the Province is launching the Open for Business, Open for Jobs Strategy. This strategy will build on government actions to date, connecting more workers to good local jobs while encouraging increased job creation, investment and trade. The government is making Ontario open for business and open for jobs by reducing regulatory burdens and lowering business costs. The government is focused on making Ontario more attractive for investment, job creators and talent. The government’s role is to ensure that it is getting the basics right by measuring outcomes whenever taxpayer dollars are spent on business support programs. The government is focused on creating the conditions for growth and cutting the red tape that is impairing the ability of businesses to create good jobs across the province. Helping small businesses by not paralleling the federal government in phasing out the benefit from the lower small business Corporate Income Tax rate. Collectively these initiatives are estimated to save Ontario businesses $5 billion in 2019. Ontario’s tax advantage over the United States was greatly reduced as a result of U.S. federal tax reform, which included lowering the federal corporate income tax rate from 35 per cent to 21 per cent and allowing businesses to immediately writeoff the full cost of certain depreciable assets. The Ontario government heard from the business community that U.S. tax reform could negatively affect the province by shifting investment and jobs to the United States. In September 2018, Ontario’s Minister of Finance and Minister of Economic Development, Job Creation and Trade wrote to the federal government to strongly encourage consideration of measures, such as an immediate writeoff of depreciable assets similar to that in the United States. The federal government’s Fall Economic Statement 2018 announced measures that the Province is paralleling through the Ontario Job Creation Investment Incentive. These measures provide an immediate writeoff for manufacturing and processing machinery and equipment and clean energy equipment, and an Accelerated Investment Incentive for most other assets. The Ontario Job Creation Investment Incentive lowers Ontario’s average marginal effective tax rate (METR)2 from 16.0 per cent in 2018 to 12.6 per cent in 2019. This reduction in the METR will help Ontario compete for business investment and jobs in the wake of U.S. tax reform. The U.S. average METR has fallen from 29.8 per cent in 2017 to 18.7 per cent in 2019. By providing faster writeoffs for business investments, the Ontario Job Creation Investment Incentive delivers greater tax savings to Ontario businesses in the first year an asset is put into use. 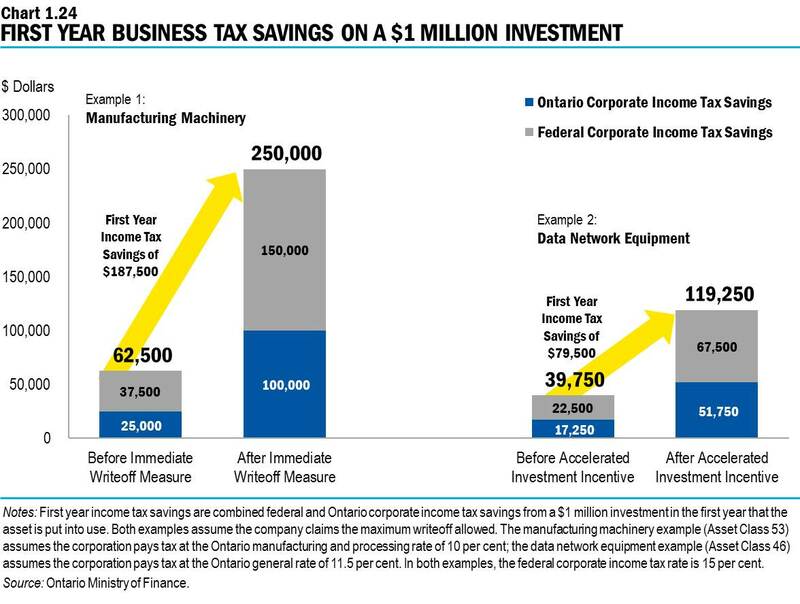 Chart 1.24 shows that, as a result of this incentive, a company that invests $1 million in manufacturing machinery could save $187,500 in combined federal and Ontario Corporate Income Tax in the first year, while a company that invests $1 million in data network equipment could save $79,500 in combined federal and Ontario Corporate Income Tax in the first year. For more information, see the Annex: Details of Tax Measures . 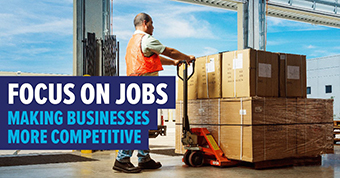 The Ontario government’s vision for the economy includes supporting job creation by lowering business costs and making Ontario more competitive. Actions taken to keep the minimum wage at $14 per hour will provide Ontario businesses with direct savings, which they can invest in growing their businesses. The Making Ontario Open for Business Act, 2018 repealed a scheduled increase in the minimum wage to $15 per hour. Future minimum wage increases will be based on inflation, starting in October 2020. This will lower employer costs by an estimated $1.4 billion in 2019 while preserving the previous minimum wage increase at $14. Minimum wages are at the highest they have ever been in Ontario after accounting for inflation.3 In 2018, when the minimum wage was increased significantly, Ontario restaurant meal prices increased by 6.5 per cent and part-time employment decreased by 15,900 compared to the previous year. Maintaining the minimum wage at $14 per hour is a balanced approach that will give businesses time to adjust. It will encourage job creation and protect existing jobs and incomes. 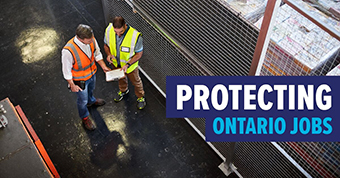 Combined with a new WSIB premium rate framework in 2020, this will help safeguard Ontario’s workplace health and safety system, ensuring that it remains accountable, sustainable and able to meet its obligations. As announced in the 2018 Ontario Economic Outlook and Fiscal Review , Ontario’s Government for the People is conducting an operational review of the WSIB pertaining to the board’s financial oversight, effectiveness and efficiency. Ontario’s workers and their families deserve certainty that the WSIB is being operated effectively, today and for the future. Ontario’s businesses deserve certainty that premiums are being managed prudently. Efficiency: the cost-efficiency and effectiveness of operations, including comparisons with those of competing jurisdictions and private sector insurers. The review will support the work of the task force reviewing all Provincial agencies. See Chapter 1, Section A: Restoring Fiscal Balance in a Responsible and Sustainable Manner for more details. The review is expected to be delivered to the Minister of Labour by the end of 2019. Ontario’s manufacturing sector is a significant contributor to the economy, providing over 760,000 direct jobs and $91 billion in GDP – accounting for 45 per cent of the total Canadian manufacturing sector. However, the sector is not as strong as it once was. Ontario’s uncompetitive cost structure has been a major factor in the erosion of its industrial base, with over 300,000 manufacturing jobs lost since 2003. The government is working to reverse this erosion by making business costs competitive with those states in the U.S. that are Ontario’s chief competitors for investment. As a result of the government’s initiatives to date, the manufacturing sector is set to realize $1 billion in savings in 2019. Unnecessarily costly and often outdated regulations are a key driver of Ontario’s high business costs. In October 2018, the University of Toronto’s Munk School of Global Affairs and Public Policy reported that, in 2017, it cost nearly $33,000 per business in Ontario to comply with regulations — the highest of any province. Businesses have also indicated that regulatory costs and delays in Ontario are far worse than what they encounter in the United States, driving investment and job creation south of the border. The government is eliminating red tape and burdensome regulations so that businesses can grow and create good jobs. The government is committed to ensuring the more effective and efficient administration of payroll legislation, with a view towards reducing paperwork and red tape burden on Ontario businesses. To achieve this, the government is exploring working with key partners, such as the Canadian Payroll Association, to establish the Ontario Payroll Burden Reduction Advisory Council. This approach aligns with steps already taken in other Canadian jurisdictions. In the 2018 Ontario Economic Outlook and Fiscal Review , the Province announced its Open for Business Action Plan. As part of its Plan, the Province set a target to reduce regulatory barriers to business growth by 25 per cent by 2022. The government is moving up the timeframe to achieve this target to 2020 to deliver the competitive advantages of regulatory reduction to businesses sooner. Once fully implemented, these changes are expected to provide Ontario businesses with over $400 million in ongoing savings on their compliance costs. The government will continue its comprehensive review of regulations with a focus on streamlining and eliminating unnecessarily complicated, outdated and duplicative regulations affecting businesses. 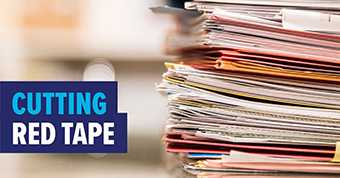 As part of the review process, the Province will introduce one signature burden reduction bill each fall and spring throughout its mandate as well as multiple other high-impact bills throughout the year that reduce red tape. Last fall, the government introduced two high-impact burden reduction bills. The government’s actions to reduce red tape have already been recognized as supporting business growth and competitiveness. In January 2019, Premier Ford became Ontario’s first Premier to receive the Golden Scissors Award4 from the Canadian Federation of Independent Business (CFIB). Ontario’s Government for the People was awarded an A- grade by the CFIB, improved from C+ last year. This is a direct result of the significant action it has taken to cut red tape and reduce barriers to business growth. Simplifying and updating rules for engineers operating boiler and pressure vessel plants by enabling the government to approve updated and more efficient rules for businesses while protecting public safety. The government’s plan for the people eases the burden of regulation on businesses to stimulate job creation and create a pro-growth environment. 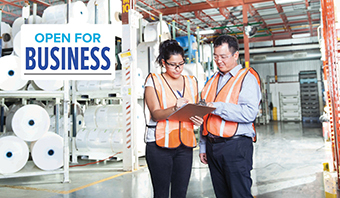 The Making Ontario Open for Business Act, 2018 removed many labour regulations that were of concern to businesses. This, and other regulation reduction measures, will lower costs and the administrative burden for employers, protect jobs and help ensure Ontario is open for business and open for jobs. In the 2018 Ontario Economic Outlook and Fiscal Review: A Plan for the People , the government committed to undertaking a review of all business support programs to determine their effectiveness, value for money and sustainability. The review was completed and it found that Ontario’s business support programs were not aligned with the priorities of the government, were fragmented across multiple ministries, and lacked sufficient evidence to measure their value, efficiency or effectiveness of programs, thereby seriously limiting the understanding of the return on investment made by taxpayers. The review reinforced the findings from the Auditor General of Ontario, the Financial Accountability Officer, as well as others — these programs were not accountable, transparent, nor an effective use of taxpayer dollars, and did not deliver clear economic outcomes. Effective: programs will be measured on impact and if they are delivering on their objectives. Going forward, business support programs will be focused on four economic priorities: talent; research and commercialization; entrepreneurship and growth; and investment attraction. To ensure that no business is excluded from accessing these supports based on their industry or location, each program will include regional, sectoral and transparency lenses. This will ensure that investment proposals are assessed on their ability to address challenges and leverage the opportunities specific to industries and regions, and to ensure that prosperity and growth are spread equitably and transparently. Details on the first business support program developed using the Open for Jobs Blueprint’s principles will be announced later in fall 2019. The government was told that its business support programs needed to be more responsive to their users, including a better decision-making process, faster approvals, and the need to maintain support for regions and sectors. The government is listening to this feedback and the proposed changes from its review of business supports to modernize the Province’s programs. As announced in the 2018 Ontario Economic Outlook and Fiscal Review , the Province is reviewing support provided for research and development (R&D) to ensure that it is effective and efficient. In the coming months, the government will consult with businesses and develop a plan that ensures Ontario entrepreneurs have improved access to the Province’s R&D support. As part of this review, the Province will examine the Ontario Innovation Tax Credit (OITC), which is an eight per cent tax credit on R&D expenditures for small and medium-sized companies, as well as other R&D tax incentives. Companies that claim the OITC may also receive the 3.5 per cent Ontario Research and Development Tax Credit (ORDTC) and an enhanced 35 per cent federal scientific research and experimental development (SR&ED) investment tax credit for the same expenditures. Regional imbalances in economic performance persist, with some Ontario regions continuing to experience weaker economic growth than others. 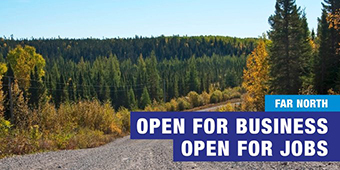 The government’s Open for Business, Open for Jobs Strategy will help create an environment that supports economic development and job creation across all areas of the province. The range of current regional business support programs are not widely known to businesses. Furthermore, they provide support to a limited number of companies and are sometimes burdensome to access. To provide support more broadly and effectively, the Province is exploring options to improve regional supports, including options available through the tax system. In addition, to ensure that there are opportunities for jobs in all parts of the province, the government is reviewing its current grant programs that support regional economic development. Ontario has some of the best innovators and entrepreneurs in the world. But many of these high‑growth, high-potential businesses find it difficult to compete for government contracts. Ontario will explore opportunities to dedicate a portion of ministries’ research and development (R&D) funding to Ontario entrepreneurs so that they can find innovative solutions for technological problems facing the government. The Province will be holding consultations in the coming months to develop a plan that puts Ontario’s R&D dollars to best use. To support the government’s efforts to make Ontario open for business, the Province is expanding the scope of the Francophone Community Grants Program to include a focus on economic development opportunities within the Francophone community as well as profiling the role of businesses and entrepreneurs for local and regional economies. The Program will continue to support community-based projects and, in addition, will provide funding to Francophone businesses, entrepreneurs and relevant not-for-profit organizations to support initiatives that promote the economic and cultural growth of the Francophone community. The auto sector is a cornerstone of Ontario’s economy that supports hundreds of thousands of direct and spin-off jobs in communities across the province. But since 2003, Ontario has lost more than 300,000 manufacturing jobs, many of which were in the auto sector. Furthermore, vehicle production in the province has fallen by nearly 30 per cent since 2000, and now General Motors (GM) is closing its assembly plant in Oshawa. The government is helping the auto industry grow and create good jobs. Driving Prosperity is the government’s plan to create the conditions by which the auto sector can thrive and grow in Ontario. The 10-year plan sets out a vision for how industry, the research and education sector and all three levels of government can work together to strengthen the sector’s competitiveness. The plan includes a commitment of more than $40 million over the next three years to strengthen the competitiveness and innovation of the sector. Driving Prosperity is designed to enhance Ontario’s North American leadership in automotive assembly and parts production, and position the province to be a leader in the development, commercialization and adoption of advanced manufacturing and mobility technologies. This includes leadership for new innovations, such as hydrogen fuel cell technologies. 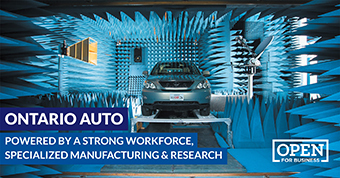 The province’s unique convergence of automotive manufacturing and information and communications technology (ICT) expertise gives it a major advantage in designing and building the next generation of vehicles. Driving Prosperity is supported by three strategic pillars. Increase foreign direct investment through Premier and Minister-led missions. Enhance Ontario’s Autonomous Vehicle Innovation Network (AVIN) and launch a “wintertech” stream to test mobility products and services in severe winter weather conditions. Increase funding for AVIN’s TalentEdge program to support internships and fellowships for research on connected and autonomous vehicles. Work to support the auto sector is already well underway. The government is creating a competitive business climate for the auto sector by cancelling the cap-and-trade carbon tax, removing onerous provisions of Bill 148, the Fair Workplaces, Better Jobs Act, 2017 , reviewing electricity prices, reducing taxes, and reducing unnecessary and costly regulatory burden. The government has also advocated strongly for the removal of tariffs on steel and aluminum — key inputs for the auto sector. Allowing on-the-road testing of autonomous vehicles and implementing the Broadband and Cellular Strategy are supporting innovation in the sector. To ensure that industry has access to the skilled workforce it needs, the government is modernizing the skilled trades and apprenticeship system, and enhancing the pipeline of science, technology, engineering and mathematics (STEM) graduates. Driving Prosperity will help safeguard jobs and provide support for workers affected by plant closures. When GM announced that it will be closing its Oshawa assembly plant by the end of 2019, Premier Ford authorized Employment Ontario to deploy its Rapid Re-employment and Training Services program to help workers regain employment as quickly as possible. Also, one of the strategy’s immediate actions is to introduce the micro-credentials pilot, which will provide the unemployed and at-risk workers with skills and credentials recognized by employers. Phase 2, which will be released later this year, will build on the work of Phase 1 and address longer term challenges and opportunities facing the sector. Standing up for small and medium-sized enterprises (SMEs) is a key priority for the government. There are more than 470,000 SMEs in communities across the province employing about one-third of Ontario workers. They are the backbone of communities, providing good jobs for families, which is why the government is committed to their success and growth. The government’s efforts to cut red tape and lower business costs are already supporting these businesses and will continue. For example, the government offers one-stop services for investors looking to establish or expand their businesses in Ontario. These services include providing information on business opportunities and market insights, offering client-centric solutions and advisory services, and facilitating business linkages and professional connections. These services can be found at www.investinontario.com. The Province provides the Ontario small business deduction, which reduces Ontario’s general Corporate Income Tax (CIT) rate from 11.5 per cent to 3.5 per cent on eligible small business income. Ontario is helping small businesses by not proceeding with the previous Ontario government’s announcement that would have phased out the benefit of the lower small business tax rate for companies earning over $50,000 of passive investment income in a tax year. This would have increased Ontario Corporate Income Taxes by up to $40,000 per year for about 7,900 of Ontario’s small businesses. The government remains committed to cutting the small business corporate income tax rate by 8.7 per cent. The government is continuing to deliver immediate savings to small businesses in Ontario and helping them grow and create jobs. To illustrate the impact, consider the example of a small restaurant owner, Raj, who employs seven staff, including four students making minimum wage. The government’s cancellation of the punishing cap-and-trade carbon tax and the WSIB reduction in premiums will save Raj’s business $855 this year; keeping the minimum wage at $14 per hour saves his business an additional $5,750. With the new Ontario Job Creation Investment Incentive and the federal government’s accelerated writeoff measures, Raj will save an additional $1,715 and have a total net savings of $8,115 in 2019, even after accounting for the punishing federally imposed carbon tax and the Canada Pension Plan (CPP) contribution increase. This is money Raj can reinvest to grow his business, buy more supplies and hire more people. Chart 1.28 illustrates the combined small business relief from the Ontario Job Creation Investment Incentive and the federal government’s accelerated writeoff measures, the cancellation of the cap‑and-trade carbon tax, the holding of the minimum wage at $14 per hour, the reduction of WSIB premiums and the federal reduction of Employment Insurance (EI) premiums. The chart also illustrates the negative impact of the federal carbon tax and the CPP contribution increase on Raj’s restaurant. The government is working to make Ontario a leading destination for investment and job creation, and ensuring those job opportunities can be shared across every region of this province. To illustrate the impact, imagine a company called Prosperity Auto Parts Manufacturing (Prosperity), which employs 210 staff, including 24 employees making minimum wage. Cancelling the previous government’s punishing cap-and-trade carbon tax saves Prosperity about $10,000 this year, while holding the minimum wage to $14 per hour saves the company $39,325. The reduction in WSIB premiums also saves Prosperity over $57,000. The government’s new Ontario Job Creation Investment Incentive combined with the federal government’s accelerated writeoff measures save Prosperity an additional $173,750. Total net savings in 2019 are $264,700, even after the federally imposed carbon tax and the CPP contribution increase. This is money that Prosperity can reinvest in its business to buy new machinery and hire more people. Chart 1.29 illustrates the combined business relief from the new Ontario Job Creation Investment Incentive and the federal government’s accelerated writeoff measures, the cancellation of the cap and-trade carbon tax, the keeping of the minimum wage at $14 an hour, the reduced WSIB premiums, and the federal reduction of EI premiums. The chart also illustrates the negative impact of the federally imposed carbon tax and the CPP contribution increase on businesses. The government is restoring accountability to Ontario’s postsecondary education system to ensure that publicly assisted postsecondary institutions are providing the positive economic outcomes the students and people of Ontario need, as well as training people for the jobs of the future. Making postsecondary education more affordable is part of the government’s plan to ensure that people have the training and skills they need to get good paying jobs. Recognizing that students in Ontario currently pay the highest average undergraduate tuition fees in Canada,7 the government is lowering tuition rates by 10 per cent starting in the 2019–20 school year for every funding eligible student enrolled in a publicly funded college or university in the province. The new tuition framework will also freeze tuition fees for the 2020–21 school year. The government’s historic tuition reduction, representing Ontario’s first decrease in student tuition across all funding-eligible programs, will provide students and families in Ontario with roughly $450 million in tuition relief. Students enrolled in a college program will see an average tuition reduction of approximately $340, and students enrolled in an undergraduate arts and science degree will see an average tuition reduction of $660. Many students studying for a university professional or graduate degree will save more than $1,000 annually. The new tuition framework will provide institutions with multi-year predictability. The government will administer a fund to help smaller Northern institutions adjust to the tuition rate reduction. Students pay other fees in addition to their tuition. These ancillary fees support a broad range of on-campus groups and services and can add up to as much as $2,000 per academic year. The government is introducing the Student Choice Initiative to empower students to choose which non‑essential ancillary student fees they pay. Institutions will be required to provide an online opt‑out option for all non-essential fees. Fees that fund major campus-wide services and facilities, such as existing transit pass agreements, and those that support essential campus health and safety initiatives will continue to be mandatory. According to a recent report from the Auditor General of Ontario, the Ontario Student Assistance Program (OSAP) has become financially unsustainable, with projected costs of up to $2 billion annually by the 2020–21 fiscal year.8 This represents a net increase of 50 per cent compared with the 2016–17 fiscal year. The report also notes that, while the number of OSAP grant recipients rose by about 25 per cent, the increase in enrolment was only 1 per cent for universities and 2 per cent for colleges. The OSAP system inherited from the previous government provided student aid to some of Ontario’s highest income earners. 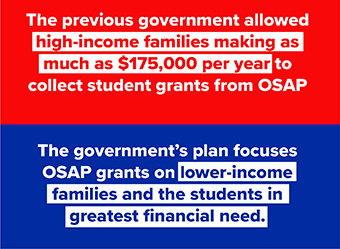 Families making as much as $175,000 per year were still eligible for OSAP grants. This is why the government has implemented a series of sustainability changes to OSAP to ensure the program remains viable for future generations of students while focusing benefits on families and students with the greatest financial need. Starting in the 2019–20 school year, the government will ensure 82 per cent of grants will go to students with a family income of less than $50,000, up from 76 per cent under the previous government. The government is taking immediate action to restore financial sustainability to OSAP and to focus student assistance on those who need it the most. Loans are an important component of the Ontario Student Assistance Program (OSAP). The government is introducing legislation to continue to support students with loans by paying interest on their loans while they are in school and making sure that the interest, once it starts accruing for students upon completion of study, is at an affordable rate. The government does not generate a financial benefit from Ontario Student Loans. Any interest charged on these loans is more than fully offset by borrowing and other costs. Restoring accountability to Ontario’s postsecondary education system involves ensuring that publicly assisted postsecondary institutions are providing the positive economic outcomes the students and people of Ontario need, as well as training people for the jobs of the future. Strategic Mandate Agreements (SMAs) are bilateral agreements negotiated between the Ministry of Training, Colleges and Universities and the province’s 45 publicly assisted colleges and universities. On March 31, 2020, the current SMAs will expire and new agreements will need to be in place prior to that date. For many years, only a small proportion of funding has been tied to performance (1.4 per cent for universities and 1.2 per cent for colleges) in Ontario’s postsecondary education system. The overall number of metrics will also be reduced from 38 for colleges and 28 for universities to 10 for each sector. These 10 metrics align with the government’s priorities in skills and job outcomes, and economic and community impact. Institutions will have the flexibility to weigh the metrics that best reflect their differentiated strategic goals and will be measured against their own targets based on historical performance. These changes will reduce the reporting burden for institutions while supporting sustainability through a focus on institutional strengths and differentiation. The new SMAs will ensure that Ontario’s postsecondary education system is focused on differentiated improvement and offering programming better aligned with labour market demands. The average retirement age of faculty has been increasing,9 suggesting that employees are remaining in their positions longer and limiting turnover that would bring in earlier career professionals with new teaching methods and increase diversity. This has cost implications, as these employees tend to be paid the highest salaries and benefits and, in some cases, are drawing salary and pension payments at the same time. As such, the government is proposing to introduce amendments to the Ministry of Training, Colleges and Universities Act, that, if passed, could help achieve a more sustainable postsecondary sector and employee renewal. The Ministry of Training, Colleges and Universities will consult with the sector on how best to achieve these outcomes. Ontario’s postsecondary institutions conduct high-quality research through campus accelerators and incubators, which contribute to today’s innovation-based economy. However, more needs to be done to strengthen the province’s intellectual property position and maximize commercialization opportunities for economic growth. That is why the government will create an Expert Panel tasked with delivering an action plan for a provincial intellectual property framework and maximizing commercialization opportunities specifically related to the postsecondary education sector. This panel will potentially include representation from the postsecondary, industry, innovation, venture capital and investment, banking and finance sectors, as well as from medical research and intellectual property legal expertise. The government recently approved Niagara University’s request to offer the existing Bachelor of Professional Studies in education and the Master of Science in educational leadership in Vaughan. This approval will ensure more students can learn and get better jobs closer to home. Many workers are underutilized and unable to fully participate in the labour market, while businesses are reporting increased vacancies due to difficulty matching workers with job openings. The government is committed to making sure job seekers can connect with opportunities to find and keep good jobs, employers can hire the skilled workers they need to thrive, and the province has the best possible employment services in order to restore Ontario to its rightful place as the economic engine of Canada. This will be achieved by equipping more people with the skills needed to get quality jobs through apprenticeships, transforming employment and training services to improve labour market outcomes for job seekers — while reducing administrative burden — and maximizing the benefits of skilled immigration to the economy. Ontario’s skilled trades offer careers leading to secure jobs that are also vital to the health and growth of the economy. Apprenticeship opportunities help businesses harness new talent while equipping workers with the practical skills and qualifications that the economy needs now and in the future. Reviews Ontario’s apprenticeship structure and enacts reforms to increase access to apprenticeship opportunities. In fall 2018, the government introduced the Making Ontario Open for Business Act , 2018, which reduced journeyperson-to-apprenticeship ratios where they apply, placed a moratorium on trade classifications and reclassifications, and enabled the wind-down of the Ontario College of Trades (OCOT). Promoting apprenticeship and the skilled trades as a pathway choice for all students from kindergarten to Grade 12. Part of this modernization approach includes a new flexible framework to enable training and certification in a full trade or in a portable skill set, which would allow training and certification within and between trades. This integrated, multi-phased and sustainable approach highlights the Province’s commitment to equipping more people with the skills needed to get quality jobs through apprenticeships. Marco is embarking on his career and dreams of starting his own business. Currently, he is considering his options for the Refrigeration and Air Conditioning Systems Mechanic trade. A small refrigeration company is willing to take Marco on as an apprentice but cannot train him in the air conditioning component of the trade. If passed, the government’s modernized skilled trades and apprenticeship model could allow Marco to train as an apprentice, get certified in portable skill sets in refrigeration systems, pursue further qualifications and reach his dream of starting his own business. That is why the government will undertake a review of its training and employment support programs to increase non-profit and private-sector involvement and implement an outcomes-based funding methodology that better matches unemployed or underemployed people with available jobs. This is why, beginning in 2019, the government will make changes to Second Career and other skills training programs to ensure every dollar spent is helping job seekers get the skills they need to find work. This will include a review of financial supports available to laid-off workers, making sure the hard-working people of Ontario get the assistance they need to reskill for new jobs when they lose a job through no fault of their own. This review will also include the supports provided to employers who want to invest in training for their own workforce. This redesign will also support the development of more short-duration credential programs, which focus on skills that employers are seeking and help people find stable work more efficiently. This spring, the Province will also be launching a micro-credentials pilot, which will create new, responsive training programs to help people develop the kind of in-demand skills that employers are seeking. Ontario’s plan for transforming employment services includes an enhanced labour market information website featuring 500 job profiles to help learners and job seekers explore their first or second career and identify opportunities for relevant education, training and reskilling. The website (found at ontario.ca/jobs) will include improved navigation to the Government of Canada’s Job Bank so that job seekers can find employment opportunities and businesses can find the right workers with the right skills. Ontario’s social assistance system is made up of Ontario Works and the Ontario Disability Support Program (ODSP). While these programs provide critical support to the province’s most vulnerable, the system’s patchwork of benefits and services are not helping people overcome barriers to employment and financial independence. Only one per cent of Ontario Works recipients leave the program for a job in any given month. Half of those who leave Ontario Works end up returning, with four out of five of them returning within one year. That is why the government is reforming social assistance — to restore dignity, reduce administrative red tape, and empower social assistance recipients to enter and remain in the labour market. The plan for reform will focus on changes that provide more opportunities for social assistance recipients to achieve better outcomes. While this work is underway, Ontario Works and ODSP rates were increased by 1.5 per cent in fall 2018. Over the next year, the government will increase the amount of earnings that recipients can have before their benefits are reduced. This will provide more support as recipients enter the workforce, and improve the incomes of those who are currently working. ODSP recipients will experience greater flexibility through an annual exemption of $6,000 in earnings per year instead of the current $200 per month. Benefits will be reduced by 75 cents for each dollar earned above these amounts to encourage recipients to increase their labour force participation and achieve greater financial independence. Ontario’s employment and training programs also play an important role in helping job seekers, including social assistance recipients, find and keep jobs, and assisting employers in recruiting the skilled workers they need. However, the current system of employment services is fractured and complex, and not sufficiently focused on getting the results needed for success. Providing wrap-around supports to help vulnerable social assistance recipients address barriers and access employment supports. The government is transforming employment services to improve labour market outcomes for a range of job seekers and reduce administrative burden in the employment and training system. The government is integrating social assistance employment services into Employment Ontario to improve employment outcomes for the people of Ontario. Another key aspect of the plan for social assistance reform is fixing the parts of the system that either no longer work or provide unequal support to those in need. Focus will be given to restoring accountability to the system and making it easier to navigate. The government is planning to make changes to Temporary Care Assistance and the Transition Child Benefit to streamline the system and improve equity between those who receive social assistance and other families with children. Details on these changes will be announced in the coming weeks. The government will also introduce more options for social assistance recipients to access information about their benefits. Online services will be expanded, giving social assistance clients faster and more convenient ways to securely access their case information. Paperwork and administration will be reduced, so clients and caseworkers can focus on addressing complex needs and planning for the future. Ontario will strengthen the accountability of both social assistance service managers and the planned employment service system managers to help people achieve employment goals. The government is putting money back into the pockets of low- and moderate-income working families. Starting with the 2019 tax year, the new Low-income Individuals and Families Tax (LIFT) Credit and the proposed Ontario Childcare Access and Relief from Expenses (CARE) tax credit would provide Personal Income Tax relief to eligible working individuals and families, including those transitioning to employment from social assistance. For more information, see the Annex: Details of Tax Measures . Low- and moderate-income families with children can also benefit from the Ontario Child Benefit, which will increase with the cost of living on July 1 from a maximum benefit of $1,403 to $1,434 per child per year. To better reflect employer and labour market needs, the government will seek to expand the occupations eligible for the Employer Job Offer: In-Demand Skills Stream to include transport truck drivers and personal support workers. The Province is committed to maximizing the benefits of skilled immigration to the economy. The success of immigration policies is a shared responsibility among the federal, provincial and territorial governments. Ontario’s Government for the People calls on the federal government to work with the Province to ensure that the Ontario Immigrant Nominee Program’s nomination allocation and the National Occupational Classification codes are fair and allow the province to meet its evolving labour market and unique economic needs. Ontario is committed to creating and protecting jobs and to building a skilled, competitive workforce. This is why the Province is calling on the federal government to provide adequate funding for skills and training programs. These federal programs need to be developed in consultation with the Province to ensure that they meet the specific needs of Ontario’s labour market. The federal government has indicated that it will help families affected by General Motors’ (GM) decision to close the Oshawa Assembly Plant. Ontario welcomes the opportunity to work with the federal government to find solutions that meet the needs of affected families and all the people of Ontario without adding red tape and administrative burdens. The recent federal budget announced new training programs. However, these programs do not address the barriers Ontario workers face in accessing Employment Insurance (EI) benefits and EI-funded training supports. The people of Ontario are short-changed by the current Labour Market Development Agreements (LMDAs) funding compared to Ontario’s share of Canada’s population. The Province will continue to advocate for Ontario’s fair share of LMDA funding, a modernized EI system and an effective consultation process for provinces and territories. Trade with other countries and provinces plays a central role in supporting jobs and growth across Ontario and providing opportunities for companies throughout the province in a highly competitive global economy. Ontario’s international exports of goods and services support about one in five provincial jobs and, in 2018, were valued at over one-third of provincial GDP. 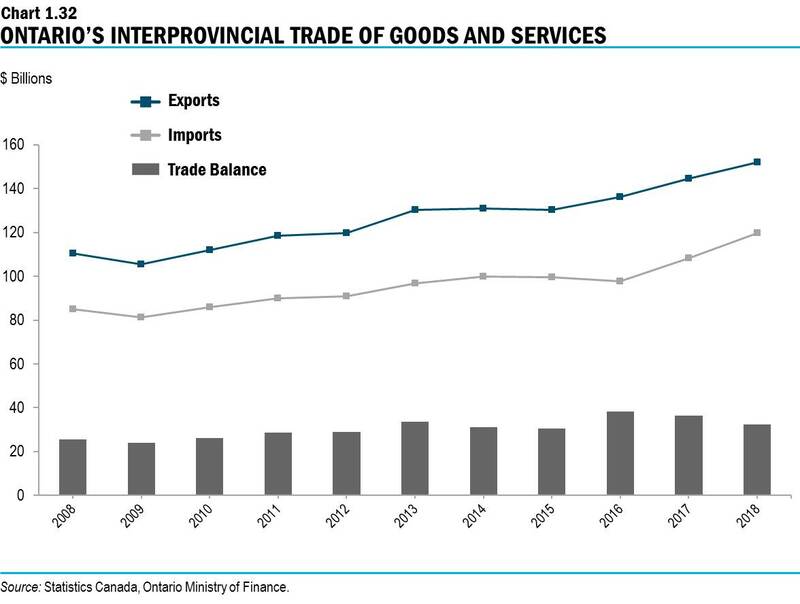 Trade in services has become more important to the province — over the past 10 years, international exports of services have nearly doubled in number. Ontario is also a leader in interprovincial trade, shipping $152 billion of goods and services to other provinces and territories in 2018, almost double that of Quebec, the next highest province. The government is connecting more workers with good, local jobs by encouraging trade both inside and outside of Canada. Ontario exports about $160 billion worth of goods to the United States every year, and Ontario is the top export destination for 19 U.S. states and the second largest for nine others. The signing of the Canada-United States‑Mexico Agreement (CUSMA) on November 30, 2018, will build upon that success for both Ontario and its trading partners south of the border. The Ontario government supports the core aspects of the North American Free Trade Agreement (NAFTA) that were preserved in CUSMA, including tariff-free trade, an independent trade tribunal, temporary entry provisions and the cultural exemption. These key elements of the agreement will help support the hundreds of thousands of jobs across Ontario that depend on trade with the United States. While the Province welcomes these outcomes, it is disappointed that the signing of CUSMA did not trigger the removal of U.S. steel and aluminum tariffs. Ontario remains concerned about many of the concessions that were made in the agreement. Specifically, CUSMA will require that Canada extend the period of market protection that it currently provides for biologic drugs (to treat diseases such as cancer, rheumatoid arthritis and diabetes) from 8 years to 10 years. CUSMA will delay and potentially decrease the availability of biosimilar drugs that offer highly comparable therapeutic benefits to biologics at a significantly lower cost, increasing costs for Ontario public and private drug plans, health care providers, and patients. The government also has significant concerns with the package of concessions the federal government accepted under CUSMA for the supply managed agricultural sectors. These concessions include expanded market access to Canada’s dairy, poultry and egg sectors, the elimination of milk Class 6/7, export constraints for certain dairy products and additional dairy reporting requirements. The Canadian dairy sector will concede an estimated 3.59 per cent of its market access under CUSMA. The steel and aluminum sectors employ 20,000 people in Ontario and, in 2017, contributed $2 billion to provincial GDP, a 60 per cent increase since the last recession. Since June 2018, the imposition of United States steel and aluminum tariffs, and Canadian retaliation, have disrupted the highly integrated supply chains of the Canada-United States trade relationship, leading to negative economic impacts on both sides of the border. Ontario accounts for two-thirds of employment in the steel industry across Canada and continues to be affected by the tariffs imposed by the United States. By December 2018, Ontario’s exports and imports of steel with the United States had decreased by 47 per cent and 57 per cent respectively, since the tariffs were implemented. In addition, the price of Canadian steel used by Canadian businesses had increased 14 per cent year-over-year. Ontario welcomes the federal government’s Regional Economic Growth through Innovation Steel and Aluminum Initiative, which was announced on March 11, 2019. The $100 million in non-repayable contributions for small and medium-sized enterprise manufacturers operating within Canadian steel and aluminum supply chains will enhance productivity and competitiveness within the province. However, the Province believes more needs to be done. In a joint letter sent to the federal government on February 4, 2019, the Minister of Economic Development, Job Creation and Trade and the Quebec Minister of Economy and Innovation noted that the U.S. tariffs are adversely and disproportionately impacting the steel and aluminum sectors in Ontario and Quebec. In the letter, the governments assert that it is essential the federal government secure the permanent removal of any and all tariffs on Canadian steel and aluminum. Ontario will continue to call on the federal government to press the United States administration for immediate and permanent removal of its tariffs on Canadian steel and aluminum, and to ensure that no other trade impediments such as quotas are introduced. Recently, Ontario asked the federal government to seriously review and consider the unintended, adverse impact of Canada’s counter-tariffs on the Canadian boating sector. According to Boating Ontario, the marine industry generates $10 billion in revenue across the country and employs 75,000 Canadians. Ontario makes up more than 40 per cent of the boating industry in Canada and generates $4 billion in revenues each year. The government of Ontario will continue its engagement with counterparts from the United States to draw attention to the negative impacts of the tariffs, as well as emphasize the mutual benefits of free and open trade. On February 22, 2019, Premier Doug Ford met with United States Trade Representative Robert Lighthizer in Washington, D.C. to discuss the long-lasting and prosperous trade partnership shared by Ontario and the United States. In addition, the Premier met with now former United States Ambassador to Canada Kelly Knight Craft, Canada’s Ambassador to the United States David MacNaughton, Illinois Governor J.B. Pritzker, Indiana Governor Eric Holcomb, Michigan Governor Gretchen Whitmer, Minnesota Governor Tim Walz and Tennessee Governor Bill Lee. The meetings gave the Premier an opportunity to advocate for Ontario’s interests on key issues such as the U.S. steel and aluminum tariffs, which are negatively impacting people and businesses on both sides of the border, as well as the potential for U.S. auto tariffs. Expanding international trade and reducing barriers to trade among provinces supports the government’s plan to make Ontario open for business and open for jobs. Ontario will continue to collaborate with the federal government, and provincial and territorial partners to ensure a stable and competitive business environment, while standing up for Ontario workers and industries. The Province has written to the federal government concerning the urgent need for broad federal support to improve business conditions, attract investments and build on Ontario’s action to protect the auto sector and create an environment where job creators can continue to grow and thrive. In recent years, “Buy America” and other discriminatory procurement policies have been pursued at both the federal and state level in the United States. “Buy America” policies promote the use of U.S.-made goods and services in government contracts, negatively impacting opportunities for Ontario businesses and workers and placing a number of the province’s key industries at a distinct disadvantage when bidding on government contracts in the United States. There was a successful grassroots campaign, which started in Ontario, to reverse the ”Buy America” provision for U.S.-manufactured goods that the United States government introduced in 2009 as part of its bailout package. Ontario will build on this leadership by closely monitoring “Buy America” developments at the sub-national level. The government will engage directly with lawmakers in those states considering “Buy America” legislation to highlight the benefits of open procurement markets and help prevent the enactment of new legislation that would restrict opportunities for Ontario businesses. The Province is also positioned to anticipate and respond proactively to any new legislation coming from the United States. In the case that one or more U.S. states implement “Buy America” legislation, the Ontario government is able and willing to respond proportionally. Additionally, Ontario has urged the federal government to take immediate action to oppose and call for the removal of these punitive provisions. Ontario and the United States both benefit from a strong, balanced economic relationship, including through open government procurement. 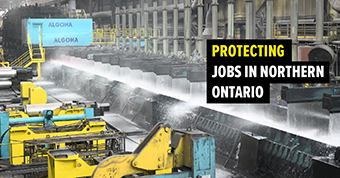 Ontario will work tirelessly to create an environment that protects workers and promotes jobs, opportunity and growth. Forestry is an important driver of the province’s economy that employs over 50,000 people, including a significant number of jobs across Northern Ontario. Following the expiration of the 2006 Softwood Lumber Agreement between Canada and the United States in October 2015, the United States imposed final countervailing and anti-dumping duties on Canadian softwood lumber in January 2018, significantly impacting nearly $8 billion of Canadian softwood lumber exports. The Government of Canada is currently pursuing three NAFTA challenges and two World Trade Organization challenges of U.S. softwood lumber duties, with initial results from these challenges expected in 2019. By the end of January 2019, it is estimated that Ontario’s softwood lumber producers will have paid a total of $168 million in duties to the United States. These unjustified costs imposed by the United States have impacted the competitiveness of Ontario’s lumber producers, potentially leading to job losses and plant closures. Ontario has urged the federal government to consider interim measures to aid domestic producers, such as a commercial loan guarantee program. The Province will continue to work with the federal government to challenge these duties and get a good trade deal for the softwood lumber industry. In addition, the Province is developing a forestry strategy to encourage economic growth within the sector. See the Reviewing the Forestry Sector later in this section for more details. Ontario supports reducing interprovincial trade barriers. This includes the areas of transporting goods between provinces and territories (e.g., trucking requirements), harmonizing food regulations and inspection rules across Canada, harmonizing building codes and facilitating greater trade in alcohol between provinces and territories. According to BMO Capital Markets,12 the net positive impact to Ontario’s GDP from free interprovincial trade would build to a range of between $15 billion to $20 billion over 10 years. Ontario is leading efforts to reduce trade barriers and make the province open for business and open for jobs. Ontario’s interprovincial exports of goods and services have increased significantly over the past 10 years, with exports rising from $110.5 billion in 2008 to $152.0 billion in 2018. Over the same period, imports of goods and services from other provinces increased from $84.9 billion to $119.6 billion. Ontario’s exports to other provinces exceed its imports from other provinces, resulting in a trade surplus of $32.5 billion in 2018. On December 7, 2018, Premier Doug Ford met with the First Ministers in Montreal to discuss ways to strengthen economic growth and create jobs by taking steps to diversify Canada’s international trade, promote clean growth and strengthen trade between the provinces and territories. The First Ministers all agreed on the need to resolve the question of softwood lumber and steel and aluminum tariffs, and to ensure that the federal government supports and fully compensates the supply managed sector. The First Ministers also agreed to harmonize standards in the transportation sector, remove unnecessary duplication from the agri-food sector’s food oversight and safety regulations, consult industry and consumers to develop ways to facilitate the sale of alcoholic beverages, and accelerate work to strengthen the Canadian Free Trade Agreement. On October 29, 2018, Premier Doug Ford hosted Saskatchewan’s Premier Scott Moe at Queen’s Park to discuss ways that their respective governments could cooperate to protect taxpayers and encourage job creation in both provinces. The Premiers discussed their shared commitment to reducing interprovincial trade barriers and announced a memorandum of understanding (MOU) to begin discussions on lowering interprovincial barriers. On November 19, 2018, Premier Doug Ford and Quebec Premier François Legault held their first official meeting, reaffirming their commitment to interprovincial trade and the need to have more flexibility on regulations governing alcohol sales between the two provinces. They agreed to establish a productive win-win relationship that focuses on wealth creation in both provinces, making life more affordable for families and small businesses in Quebec and Ontario. Ministers holding economic portfolios in their respective Cabinets would also meet twice annually to discuss increased trade between Quebec and Ontario and the diversification of the two provinces’ economies. On April 1, 2019 the federal government began imposing its job-killing carbon tax on the people of Ontario and three other Canadian provinces. The federal government has done so despite the overwhelming evidence that a carbon tax is one of the most regressive tax increases in the history of Canada, and one which is expected to increase the typical Ontario household’s cost of living by $258 in 2019, rising to $648 per year by 2022.13 Amongst the hardest hit people will be seniors and lower and middle-income families who will be least able to absorb skyrocketing gas prices and home heating costs. A carbon tax will also make automotive, manufacturing, transportation, mining and forestry activities increasingly unaffordable in Ontario and put thousands of jobs at risk. The application of the federal government’s carbon tax to fossil fuels in Ontario will increase prices. The federal carbon tax on gasoline in Ontario is 4.42 cents per litre beginning April 2019, rising to 11.05 cents per litre beginning April 2022. It will also add 5.37 cents per litre to the cost of diesel fuel beginning April 2019, rising to 13.41 cents per litre beginning April 2022. The federal carbon tax will also increase the price of natural gas in Ontario. 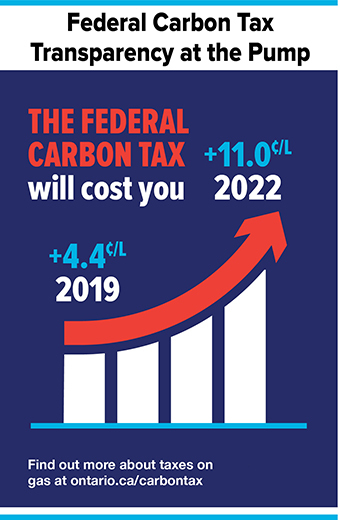 The federal carbon tax is 3.91 cents per cubic metre beginning April 2019, rising to 9.79 cents per cubic metre beginning April 2022. The costs of aviation fuel and propane will also significantly increase. Costs for a small business consuming 10,200 cubic metres of natural gas per year will increase $400 in 2019–20, rising to $1,000 beginning April 2022. Heavy duty transportation in Ontario: over $310 million per year in 2019–20, rising to as high as $774 million beginning April 2022. Colleges and Universities in Ontario: $9.6 million in 2019–20, rising to $24 million beginning April 2022. Hospitals in Ontario: $10.9 million in 2019–20, rising to $27.2 million beginning April 2022. Nursing and Retirement Homes in Ontario: $6.7 million in 2019–20, rising to $16.7 million beginning April 2022. Note: Figures do not include HST. Sources: Ontario Ministry of the Environment, Conservation and Parks and Ontario Ministry of Transportation. The federal government is persisting in its insistence that Ontario families be punished and pay more despite the fact that Ontario already leads Canada in greenhouse gas reduction targets without a carbon tax. The federal government’s communications on the issue have been clear. When confronted with evidence that Ontario can hit its greenhouse gas reduction targets without a carbon tax, it chooses to move the goalposts, because the federal government’s objective is not to reduce emissions — it is to impose the tax. As a matter of foundational policy, Ontario considers the federal carbon tax to be a clear and present threat to affordability for low- and middle-income families, as well as to Ontario jobs across multiple sectors. The government intends to use every tool at its disposal to fight the carbon tax. To date, the Ontario government has already legally challenged the federal carbon tax at both the Saskatchewan and Ontario Courts of Appeal. The government also proposes to introduce urgent transparency measures to counter the federal government’s attempts to hide the true cost of the carbon tax from Ontario families. The government has written to the Ontario Energy Board to encourage it to include the cost of the carbon tax on Ontario home heating bills. The government will propose legislation to ensure that consumers are aware of the effect of the federal carbon tax on gasoline prices. The Federal Carbon Tax Transparency Act, 2019, if passed, would require gas station operators to display a sticker on gasoline pumps showing the impact of the federal carbon tax. The government will soon be commencing a public interest information campaign designed to highlight the true cost of the federal carbon tax to Ontario families and businesses, while demonstrating how Ontario’s own environment plan will build on its Canada-leading emissions reductions record in order to hit its target of 30 per cent reductions, without imposing a carbon tax. The federal carbon tax will affect Ontario’s — and all of Canada’s — ability to compete globally. As Ontario takes steps to attract and retain good jobs, the Province is also seeking to support economic development in other provinces that could be hindered by the federal carbon tax. In the 2018 Ontario Economic Outlook and Fiscal Review , the government promised that it would not stand in the way of a pipeline project that transports oil within Ontario’s borders. To that end, Ontario is moving forward with plans to eliminate restrictions on pipeline development in Ontario under the Canadian Free Trade Agreement that were negotiated by the previous government, and is actively working with the parties to the Agreement to implement these changes. Pipelines create good jobs, both in Ontario and across the country, and interprovincial energy infrastructure projects like these are essential for Canada to compete in the global marketplace. In every way possible, Ontario will support its partners looking to expand oil distribution, and at the same time, protect their competitiveness from the federal carbon tax. On March 6, 2019, Ontario and Saskatchewan took a firm stance against the federal government’s proposed Bill C-69 that will harm miners, communities and businesses. Bill C-69 would potentially politicize the environmental approval process for major natural resource and energy projects, and also impose new, subjective values tests on projects, adding delays and additional hurdles that would hinder projects and put jobs at risk. The Province recognizes the importance of protecting the environment, but also understands that it must be done in a way that supports competitiveness, job creation and economic development. Ontario’s Government for the People is taking steps to stabilize costs, drive efficiency, and strengthen trust and transparency in the energy sector. The government believes that electricity bills have been too high and have hindered business investment. The Province is consulting with businesses to improve expensive and confusing electricity programs and is creating an electricity system that works for Ontario families, farms and businesses. The government understands the challenges to Ontario businesses caused by the high cost of electricity, affecting the ability of industrial businesses to compete globally. As part of its Open for Business, Open for Jobs Strategy, the government is launching targeted stakeholder consultations on industrial electricity pricing, including a review of existing pricing programs. This will inform the design and development of new policies to manage electricity costs and help Ontario businesses grow and compete. Stakeholders will have an opportunity to provide input through online submissions and in-person discussions. Helping Ontario businesses with their electricity costs will stimulate economic development, improve fairness, and encourage job creation — sending the clear message that Ontario is open for business. The Ontario Energy Board (OEB) is Ontario’s independent regulator of the electricity and natural gas sectors. In recent years, stakeholders have lost confidence in the OEB. Stakeholders believe that the OEB does not operate in a clear and transparent manner; it lacks appropriate governance oversight and does not operate as effectively and efficiently as it could. The OEB Modernization Review Panel’s report has provided recommendations on the governance and operations of the OEB. Informed by the Panel’s recommendations, the government will modernize the OEB and will take steps to reduce costs and regulatory burden, promote regulatory excellence, and improve organizational governance and independence of the OEB. The government’s proposed amendments to the Ontario Energy Board Act, 1998 would, if passed, strengthen the core purpose of the OEB and would allow the OEB to better serve the people of Ontario, operate more effectively and efficiently to protect the rights of consumers, and ensure that Ontario’s energy system remains sustainable and reliable. The government will continue to put rural and Northern Ontario at the forefront of Ontario’s Open for Business, Open for Jobs Strategy — to help ensure these communities can improve their competitiveness and attract investment. The government recognizes the significant contribution that rural and Northern Ontario communities make to the economy. In 2018, about 354,000 workers were employed in Northern Ontario, accounting for 4.9 per cent of all jobs in Ontario. Job gains in Northern Ontario were strong last year, with 5,400 net new jobs created, the largest gain since 2011. Rural communities represented 13 per cent of all Ontario employment, or about 949,000 workers. Rural Ontario also experienced job gains in 2018, with 8,100 net new jobs created. While rural and Northern Ontario communities both experienced employment growth last year, there is more to be done. These communities face unique economic and demographic challenges to growth, including a lack of economic diversification, aging populations, out-migration, and gaps in infrastructure. Northern and rural areas also have great potential for economic growth and the government is committed to providing rural and Northern Ontario communities with the support they need to create more local jobs. On January 28, 2019, Premier Ford, along with most of his Cabinet and the caucus, met with over 300 rural municipal delegations at the 2019 Rural Ontario Municipal Association (ROMA) conference. They discussed topics including growth and economic development, policing reforms, infrastructure investments, and joint and several liability. Premier Ford reiterated the Province’s commitment to supporting rural communities as partners in economic growth. The government is committed to reducing red tape and restrictions that are blocking important economic development projects in the Far North of Ontario including the Ring of Fire, all‑season roads and electrical transmission projects for communities. To ensure a collaborative approach to development, the Province will hold consultations on a proposal to repeal the Far North Act, 2010 , amend the Public Lands Act to continue approved community based land use plans, and for a time-limited period, enable completion of the planning process for communities that are already at an advanced planning stage. On February 25, 2019, a proposal was posted on the Environmental Registry for a 45-day consultation period inviting Indigenous communities and groups, businesses and other stakeholders to have their say on the Far North Act, 2010, and how to collaboratively open up the Far North of Ontario for development. The Ring of Fire represents a significant opportunity to open up the resources of Northern Ontario and create jobs in the region. The government is working to cut red tape and end the delays that block the development of the Ring of Fire area by working with willing partners to ensure sustainable development in the North. Earlier this year, Webequie and Marten Falls First Nations initiated environmental assessment studies that will inform the planning and development of all-season access roads in the Ring of Fire region. The government has announced the creation of a Mining Working Group to focus on reducing red tape and attracting major new investments. The group is chaired by the Minister of Energy, Northern Development and Mines and includes members from mining and exploration companies, prospectors and Indigenous business organizations. Members will provide the Province with input on important issues affecting the minerals sector, while identifying opportunities to ensure future growth, competitiveness and prosperity. In the 2018 Ontario Economic Outlook and Fiscal Review , the government committed to holding consultations to help the Province develop a strategy to encourage economic growth within the forestry sector and promote the sector as open for business. The strategy aspires to increase wood supply and will help unleash the potential of Ontario’s forest industry, creating conditions for the industry to innovate, attract investment, and create jobs and prosperity for the North and for all communities that depend on this sector. Methods to further promote made-in-Ontario wood products. Ontario is one of the most attractive jurisdictions for mineral exploration in the world and accounts for about 25 per cent of Canada’s total exploration expenditures. There are opportunities to increase economic activity from resource exploration and development while ensuring Indigenous communities benefit from the resource sector. To support opportunities for employment and the financial success of Indigenous communities, the Province will move forward with the agreements signed with the Grand Council Treaty #3, the Wabun Tribal Council and the Mushkegowuk Council to share resource revenues from mining and forestry. At the same time, the Province will continue to explore options to advance resource revenue sharing opportunities with other Indigenous partners and Northern communities, including in the mining, forestry and aggregates sectors. The government is creating more opportunities for Indigenous peoples and addressing the skilled labour shortage across the North by creating a new Northern Ontario Internship Program. Administered by the Province’s Northern Ontario Heritage Fund Corporation, the new program will remove the requirement that applicants be recent university or college graduates. Program candidates will now include new entrants into the workforce, those transitioning to a new career, the unemployed and underemployed. The streams highlight the importance of the North’s Indigenous population to the region’s economy and the issue of skills shortages in areas such as the skilled trades, respectively. Ontario has raised concerns about the federal government’s proposed Bill C-69, which overhauls the Canadian Environmental Assessment Act, 2012. If this legislation is passed without significant adjustments, it would hinder new natural resource and energy projects across Ontario, risking thousands of potential jobs. The Province is developing its own approaches to modernizing environmental assessments, while creating a more business friendly environment that would encourage development. This includes modernizing Ontario’s Environmental Assessment Act , which mandates an extensive consultation process and consideration of environmental protections and conservation for virtually all public sector projects regardless of environmental impact. Twenty-five remote First Nation communities in Northwestern Ontario currently rely on local diesel generation. Wataynikaneyap Power LP (Wataynikaneyap Power), a licensed transmission company, is a partnership between the First Nation Limited Partnership, comprising 24 First Nations, with majority ownership, and Fortis (WP) LP (comprised of Fortis Inc. and Algonquin Power & Utilities Corp). In July 2016, the Province designated Wataynikaneyap Power to connect 16 remote First Nation communities to the provincial grid. The project would provide these communities with a reliable supply of electricity and support long-term economic opportunities. In 2018, the federal government announced that it would provide, in two tranches, $1.6 billion in funding for the project, subject to entering into definitive agreements. Under the proposed financing structure, the Province would provide interim financing of over $1.3 billion in order to facilitate the project. In December 2018, Pikangikum First Nation became the first of these communities to be connected to the grid. The project in Northern Ontario known as the East-West Tie (EWT) Transmission Project has also progressed. In January, as directed by the Province, the OEB designated NextBridge Infrastructure (NextBridge) as the transmitter to build the 450-kilometre transmission line from Thunder Bay to Wawa. The OEB subsequently granted leave to construct the line. The line will support job creation, enhance reliability, improve the flow of cheaper and lower-emission energy, and add the capacity needed for major regional development projects like the Wataynikaneyap Power Project and the Ring of Fire. With the support of the Ontario government, NextBridge has trained over 300 Indigenous community members for project-related jobs. With the support of First Nation and Métis partners, the project is expected to create local employment for over 200 Indigenous people and deliver over $200 million in economic benefits for First Nation communities. Natural gas is the most common heating source in Ontario. 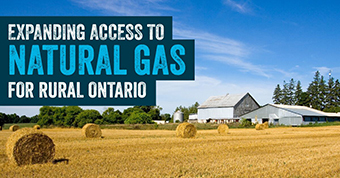 In December 2018, the government passed Bill 32, the Access to Natural Gas Act . The new legislation makes it possible for a new program that, once regulations are in force, will help expand access to natural gas in more parts of rural and Northern Ontario, as well as in First Nation communities. The new program will be designed to help the private sector expand natural gas access for up to 78 communities, making connections available for approximately 33,000 households. Switching from propane, electric heat or oil to natural gas can save an average residential customer between $800 and $2,500 a year. This builds on the government’s cancellation of the cap-and-trade carbon tax, which will save families on average $80 per year and small businesses $285 per year, putting more money back in people’s pockets. Through a review of transportation in the North, the government is focusing on identifying opportunities for a modern, sustainable transportation system in Northern Ontario. The government will continue to review initiatives to meet transportation needs in the North to optimize bus services and options for passenger rail services across Northern Ontario. This review will also explore ways to support Ontario’s rail freight, rail remanufacturing and repair operations in the North. This work is an important part of the government’s plan to promote economic development and keep people and goods moving in Northern Ontario. Broadband has become essential infrastructure and the people of Ontario are increasingly expecting connectivity. Broadband and cellular access are necessary to attract and retain business in Ontario, increase quality of life for Ontario residents and improve access to government services, including health care and education. Many rural and remote communities do not have access to viable high-speed connectivity, which limits their ability to grow, innovate, provide important public services, develop a strong workforce and support economic development. The government is committed to ensuring that communities across Ontario have access to critical broadband and cellular connectivity. In support of this commitment and to expand broadband and cellular infrastructure across Ontario, the Province plans to invest $315 million over the next five years in regional and shovel-ready projects. Ontario’s investment efforts will benefit from investment commitments by other levels of government and leadership from the private sector to maximize the impact of provincial investments. The Province will provide more details as part of its Broadband and Cellular Strategy, which will be released later this year. Investing in broadband and cellular infrastructure to expand access to reliable, fast and affordable broadband internet connectivity will allow communities and businesses to fully participate and compete in the digital economy. It will also support a digital-first approach to providing government services (e.g., access to data and online services). Public consultation to classify the double-crested cormorant as a game bird concluded in January 2019. The government is now evaluating the results of this consultation and plans to introduce legislation that would allow for population management through hunting. The government has listened to the long-standing consensus regarding the way the Province allocates tags for big game, such as moose. Hunting is an important economic driver in many rural and remote communities. In an effort to better serve hunters, the Ministry of Natural Resources and Forestry is appointing an advisory committee to review moose management, including the moose tag draw system with the intention of making it fairer, more accessible and simpler for hunters. The Big Game Management Advisory Committee (BGMAC) will report back to the Minister of Natural Resources and Forestry in the summer of 2019, to allow for an improved moose tag allocation process for the 2020 season. For the first time in over a decade, farmers and rural communities have a partner at Queen’s Park. Ontario’s Government for the People is reducing red tape and regulatory burdens while maintaining rules that protect food safety, health and animal welfare. The Province is shrinking administrative costs while improving government services for farmers, food processors and agri-businesses across Ontario. The Province is committed to making rural Ontario, and Ontario’s agri-food sector, open for business and open for jobs. The Province will do this by cutting red tape, investing in key programs like the Risk Management Program, fighting for supply managed commodities on the world stage, and recognizing farmers as the best stewards of their land. Ontario’s agriculture and agri-food sector is diverse, dynamic and a key economic driver. The sector supports more than 822,000 jobs and contributes $39.5 billion in GDP, an 18 per cent increase since the last recession. Ontario’s food manufacturing sector is the largest in Canada, and within Ontario, the agriculture industry is a leader in creating jobs, trade opportunities and solutions for the health of families and the environment. 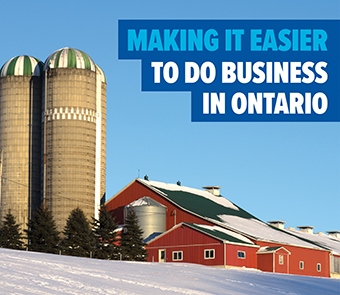 The government is making Ontario’s agriculture and agri-food sector more open for business and more competitive. To support this sector, which spans every region of the province, the government has formed a new agricultural advisory group made up of experienced individuals from Ontario’s agricultural value chain. Their input along with the government’s extensive consultations will help ensure that the sector can become more competitive without facing additional regulatory burden or costs. The government is also making sure that Ontario’s innovative and hardworking farmers, processors and operators in the agri-food sector have opportunities to grow their businesses. In collaboration with the federal government under the Canadian Agricultural Partnership (the Partnership), Ontario is inviting eligible farmers and other businesses to apply for support for projects to boost innovation, economic development, environmental stewardship and food safety. Such targeted investments will focus on new and emerging priorities in the agri-food and agri-products sectors. Since June 2018, more than 1,150 Ontario projects have been supported through the Partnership, which is a five-year, $3 billion commitment launched in 2018 by the federal, provincial and territorial governments. Through the Partnership, Ontario and the federal government have also provided special assistance to help farmers that have experienced revenue loss due to high levels of deoxynivalenol (DON), a disease that impacted Ontario’s corn crop due to wet weather. The governments have also partnered with the Grain Farmers of Ontario on research and new actions to address high DON levels in corn crops. The government is committed to creating further growth and prosperity in this sector by ensuring that farmers and agri-food businesses are not faced with additional regulatory burden or costs. Measures to reduce regulatory burden will be informed by input received from farmers, processors and agri-businesses. To facilitate this input, the government has undertaken a series of roundtables on issues impacting the agricultural economy. Roundtables have taken place across the province including: Pain Court, Holland Marsh, Lindsay, Guelph, Owen Sound and Woodstock with a commitment to continue meaningful consultation on issues that affect the industry, such as trade, and shape crucial future decisions. 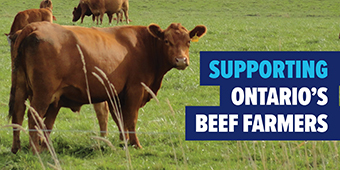 The government has already committed to changes that would reduce unnecessary and costly credit checks for beef farmers in the Ontario Feeder Cattle Loan Guarantee Program. As well, the Ontario Wildlife Damage Compensation Program has been updated so that it is easier for farmers to access compensation when they lose livestock to predators. Farmers need stable risk management tools so they can confidently invest in their businesses for them to grow and compete. To ensure this, the government is proposing amendments to the Farm Products Payments Act, which, if approved , will modernize Ontario’s financial protection programs to achieve less prescriptive administration, cost savings and reduce regulatory burden for farm businesses. If approved and implemented, the amendments would also provide a modern and less burdensome approach to managing risk for the grain and livestock sector. The government is committed to preserving Ontario’s Risk Management Program by ensuring that it protects farmers in the most effective way possible. As such, the government is exploring options to expand the Risk Management Program in the future to better support farmers and producers in managing risks that are beyond their control, such as changing costs and market prices. In addition, the government will explore ways to enhance the program in the future. The government will consult one-on-one with stakeholders in the agri-food sector. Through these discussions, the government will identify ways to streamline the licensing and certification processes of more than 20 programs delivered by the Ministry of Agriculture, Food and Rural Affairs while maintaining the requirements that keep food and animals safe and healthy. The goal is to streamline these licensing processes with a standardized approach that focuses on user-friendliness. Achieving this goal will reduce administrative burden on farmers so that they can focus on their business and support their communities. The government continues to invest in rural communities by ensuring a strong and viable horse racing industry. Beginning this year, the Ontario Lottery and Gaming Corporation (OLG) will support the sector through a long-term funding agreement, an up to 19-year commitment providing up to $105 million per year to racetracks and horsepeople across the province. The government will also provide $10 million per year to support breeding and industry development programs for Ontario-bred horses. The agreement will also ensure greater accountability and transparency for how the funds are used. In addition, the government has upheld its commitment to support racetracks facing hardships through the implementation of the Optional Slots at Racetracks Program. The government has worked with its partners in the industry to provide packages that include additional operational funding or slots at eligible racetracks. Together, these initiatives demonstrate the government’s commitment to rural Ontario and the hard-working people in the horse racing industry. Ontario’s Government for the People is taking a people-first approach to tourism, culture and sport. Working with agencies, community partners and businesses, the government will make strategic investments to embrace and showcase Ontario’s heritage and attractions, create conditions for Ontario to be the destination of choice for tourists, and be the best place to play and be an athlete. Investments will provide economic opportunity and prosperity for the people of Ontario. In Ontario, there are over two million athletes that participate in organized sports activities. These athletes are supported by thousands of coaches, officials and volunteers. Sports provide health and wellness benefits, and are a source of civic pride. To make the most of sports in the province, the government is taking steps to unite the sector, assist with collaboration and focus resources to help build a stronger sports system. The government wants Ontario to be one of the best places to play sports. From modern arenas and fields to exceptional coaches, residents can enjoy sports and recreation at all levels and abilities. Working with sports organizations, the education sector, Indigenous communities and other organizations including municipalities, the government will develop a sports action plan. The plan will help articulate the government’s priorities to support sports for all age ranges. The proposed plan will also be designed to encourage safe participation in sports from playground to podium. Although it is prohibited by the federal Criminal Code , single event sports wagering is an increasingly popular form of gambling entertainment. The people of Ontario spend approximately $110 million per year on these sorts of illegal wagers. The Province is calling on the federal government to do away with the outdated prohibition on single event sports wagering. It is time for the federal government to end this ban on single sports betting and treat the people of Ontario like adults by allowing them to bet on the outcome of a single game. This would allow Ontario businesses to benefit from revenues currently captured by international companies. Ontario’s tourism sector is important for the province’s economic prosperity. The sector includes key service industries such as accommodations, food and beverage services, transportation, recreation and entertainment and travel services. In October 2018, the government announced the launch of a new tourism strategy to support its continued growth and unlock its limitless potential. The Province invited visitors, students and industry representatives to provide feedback on how to build a new strategy that will make Ontario known as a destination of choice for tourists and investors, while supporting businesses and community development in the province. The government has now completed its public consultations and will be leveraging the findings to develop a made-in-Ontario tourism strategy. Ontario recently concluded consultations with the tourism industry and tourists to build a new Tourism Strategy to maximize the economic impact of Ontario’s $34 billion tourism industry, and unlock its limitless potential. By the close of consultations, the ministry’s online survey received over 7,000 responses, and the Minister of Tourism, Culture and Sport held in-person roundtables that engaged with more than 200 participants. The government is committed to protecting the Canadian Club Heritage Centre as a meaningful cultural attraction and tourism destination in Windsor. The Province is committed to doing its part to support the reopening of this iconic part of Windsor’s heritage. Ontario’s cultural media industries contributed almost $7 billion to provincial GDP in 2016, and represented 27 per cent of the overall culture sector. These industries, which include film and television production, interactive digital media, book and magazine publishing and sound recording, are an important and growing segment of Ontario’s economy.14 The cultural media industries employ creative talent, offering high-value jobs in the knowledge economy, as well as a large number of skilled technical production workers. Ontario offers a suite of five refundable cultural media tax credits and other supports that serve to increase production and create more jobs in the cultural media industries. The economic and employment benefits of Ontario’s vibrant film and television industry are felt across the province, with popular and critically acclaimed productions like Cardinal , Carter, Letterkenny and Indian Horse in Northern Ontario, Alias Grace and I Am the Pretty Thing That Lives in the House in Eastern Ontario and Anne with an E , Kim’s Convenience , Star Trek: Discovery and American Gods based in the Greater Toronto Area and across Central and Southwestern Ontario. Ontario leads Canada in domestic film and television production volume and is home to an active foreign production sector, which has grown in tandem with a lower Canadian dollar in recent years. The province is well-positioned to continue to grow its thriving film and television industry with a combination of world-class creative talent and technical production workers, cutting-edge animation and visual effects companies, state-of-the-art studio infrastructure, diverse film locations and competitive tax incentives. New expansions at Pinewood Toronto Studios and Cinespace Film Studios and new studio developments like the 400,000 square foot Markham Movieland’s First Studio City and CBS Television Studios’ new Mississauga location will further increase Ontario’s capacity to host more film and television productions. Growth in Ontario’s film and television industry continues with the launch of the new Netflix production hub on Toronto’s waterfront. The online streaming service recently announced it had signed multi-year leases with Cinespace Film Studios and Pinewood Toronto Studios for eight sound stages as well as space for office and support work. At almost 250,000 square feet, the new production hub will be home to upcoming Netflix productions such as the horror anthology Guillermo del Toro Presents Ten After Midnight and the film Let It Snow. These new productions join a growing slate of original film and television content produced by Netflix in Ontario, including V-Wars, The Umbrella Academy, The Christmas Chronicles, In the Shadow of the Moon and Locke & Key . This multi-year commitment by Netflix highlights the competitiveness of Ontario’s film and television industry. Ontario offers three refundable film and television tax credits to encourage domestic and foreign film and television production, and computer animation and special effects. The Province also drives industry growth through grants including the Film Fund, the Export Fund and the Industry Development Program administered by Ontario Creates, an agency of the Ministry of Tourism, Culture and Sport. The Northern Business Opportunity Program administered by the Northern Ontario Heritage Fund Corporation also supports the industry in Northern Ontario. Most recently, the government announced it is investing more than $1.3 million in infrastructure to support film production in North Bay and two additional film projects based in North Bay and other parts of Northern Ontario. As noted in the 2018 Ontario Economic Outlook and Fiscal Review , the government is committed to providing stability and support for this key industry, while reviewing all business support programs. To ensure that the government is well-informed about this important industry, the province will establish a Ministers’ Film and Television Advisory Panel. Reporting to the Minister of Tourism, Culture and Sport and the Minister of Finance, the panel will provide evidence and advice on industry trends, challenges and opportunities to grow high-value film and television production in Ontario and maximize benefits for the province. Further details regarding the Panel will be announced soon. Interactive digital media includes video games and other digital products such as e-learning tools and virtual reality experiences. In 2016, Ontario’s interactive digital media industry employed almost 20,000 people and contributed nearly $2.7 billion to Ontario’s GDP.16 Since 2010, interactive digital media has been a leading industry in both GDP and employment growth within the overall culture sector in Ontario. Ontario supports the industry through the Ontario Interactive Digital Media Tax Credit and the Interactive Digital Media Fund administered by Ontario Creates. The Province is committed to streamlining administration of the Ontario Interactive Digital Media Tax Credit and reducing red tape for business. The Province proposes to lower the annual labour expenditure threshold for video game developers so that more companies could apply annually for tax credit certification, rather than applying separately for every product they complete. This would reduce paperwork and help these companies receive their tax credits faster. See the Annex: Details of Tax Measures for more information. The government will review the cultural media tax credit certification process to streamline administration and reduce application processing times. Ontario Creates supports the province’s cultural media industries, including book publishing, film and television, interactive digital media, magazine publishing and music industries. Through Ontario Creates, the government supports the Ontario Music Fund, which is designed to work with the province’s music organizations in expanding their economic and cultural footprint within Canada and around the world. The government will work with Ontario Creates to modernize the Ontario Music Fund to focus on activities that bring the biggest return to the province, and refocus its investments into emerging talent to create opportunities to achieve success. Businesses across Ontario have been clear that excessive regulation and red tape creates burdens that adversely impact jobs and result in slower economic growth. To ensure that the province is Open for Business, the Ontario government is taking action to eliminate duplicative and outdated regulatory requirements in order to foster a thriving and competitive financial services sector. Effective regulation is essential to the health of capital markets around the world. Stakeholders have voiced their concerns regarding the amount of red tape that impacts their businesses, including duplicative and outdated regulatory requirements. The Province has made it a priority to reduce burdensome regulation to enhance the competitiveness of Ontario businesses by saving them time and money. The Ontario Securities Commission (OSC) is currently working with the government on this initiative and has made burden reduction a priority through its dedicated Burden Reduction Task Force (the Task Force). 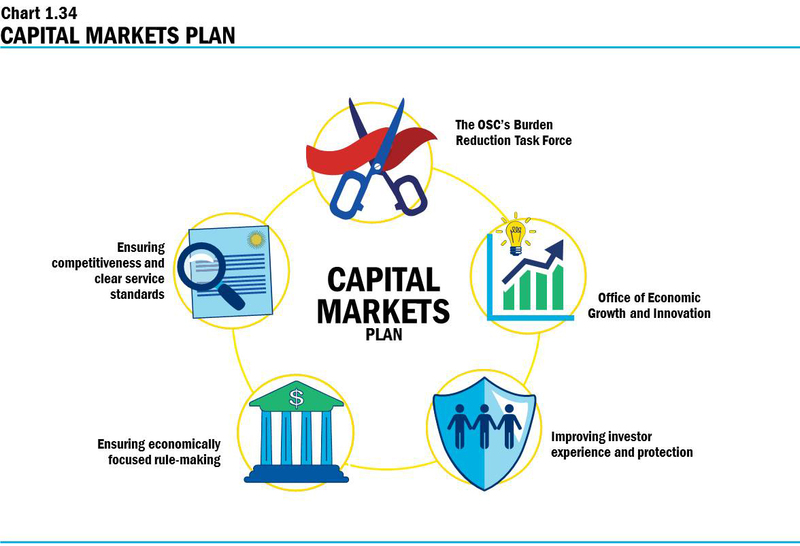 To support the OSC’s efforts to address unnecessary regulatory burden and foster economic growth, the government intends to move forward with a five-point plan for creating confidence in Ontario’s capital markets. The focus of this plan will be to strengthen investment in Ontario, promote competition and facilitate innovation. The five-point plan will change Ontario’s regulatory environment for the better and result in greater prosperity for Ontario businesses and families. Ensuring competitiveness and clear service standards. In alignment with the government’s priority, the OSC’s Burden Reduction Task Force would focus its efforts on identifying steps that can be taken to enhance the competitiveness of Ontario’s business environment by saving them time and money. The Task Force has a mandate to consider and, where appropriate, respond to suggestions to eliminate unnecessary rules and streamline processes while protecting investors and the integrity of the capital markets. The government supports the creation of an Office of Economic Growth and Innovation within the OSC in order to foster fair and efficient capital markets. This office is intended to support innovation in capital markets, which would lead to economic growth. The office will focus on market participants to ensure that the OSC receives balanced insights into the perspectives of stakeholders and prioritizes the update of existing rules to reduce regulatory burden. To collaborate with businesses and other regulators to gain insights on how to support innovation, facilitate competition and reduce regulatory burden. Collaborate with the Ministry of Education to enhance the financial literacy curriculum. The government is also committed to working with organizations such as the Investment Industry Regulatory Organization of Canada (IIROC) to further improve the investor experience. Rule-making must weigh the economic costs against benefits to stakeholders. It is crucial when introducing rules that a robust impact analysis be conducted. Qualitative and quantitative analysis of the anticipated costs and benefits of a proposed rule would be provided within the OSC’s rule publications and shared as part of the consultations on the proposal to better inform public comments and the rule-making process. This approach would enhance transparency and appropriately inform stakeholders of the impacts of new rules. The Ontario government is committed to making Ontario the most attractive place in North America in which to invest, grow businesses and create jobs for the people. Critical to accomplishing this goal is creating a globally competitive, efficient and strong capital markets regulatory system that attracts investment from around the world, streamlines capital raising for businesses, and protects investors from financial system risk and misconduct. Ontario businesses seeking to raise money and global investors seeking to invest in those businesses must spend significant resources to understand and comply with a needlessly complex regulatory system. The Ontario government and the OSC are committed to making Ontario’s capital markets globally competitive. The Ontario government will work with the OSC to enable it to achieve a global standard of excellence. To reflect this new priority, the OSC will report on metrics that track the competitiveness of Ontario’s capital markets relative to other jurisdictions, and its service standards will be tracked relative to securities regulators in leading jurisdictions. To further support the five-point plan, the Ontario government plans to propose amendments to capital markets legislation to facilitate innovation in Ontario’s capital markets and to ensure more economically focused rule-making which, in turn, promotes greater economic growth. The government also plans to propose additional changes to capital markets legislation. This includes clarifying the payment of awards under the OSC whistleblower program, and certain other technical amendments to the Securities Act. The government intends to make Ontario the most attractive place in North America in which to invest, grow businesses and create jobs. As Co-Chair of the Council of Ministers of the Cooperative Capital Markets Regulatory System (CCMR), Ontario’s Minister of Finance plays a leadership role, and works collaboratively with other participating provincial and territorial jurisdictions and the federal government, to further the implementation of the CCMR. The CCMR would make capital markets in Canada stronger, more efficient and more globally competitive. It would also better protect investors from financial system risk and misconduct. It would offer real benefits to the people of Ontario by streamlining the requirements for businesses to raise capital, which in turn allows individuals and families to save and invest with confidence, while helping to create jobs and boost economic growth. Currently, Canada is the only G20 country without a national capital markets regulator. Ontario is pleased that the recent decision of the Supreme Court of Canada confirmed the constitutionality of key elements of the CCMR. Ontario continues to encourage all provinces and territories to participate in and benefit from the CCMR. In Ontario today, there is no title protection for financial planners and financial advisors. Families risk receiving financial planning and advisory services from individuals who may not be appropriately qualified to help them save for the future. 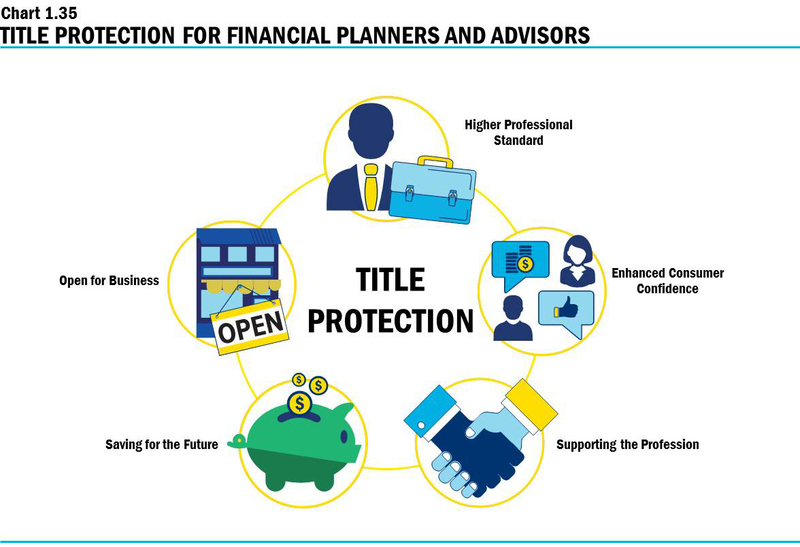 Lack of title protection undermines professionalism and confidence in those offering financial planning and advisory services. The government is moving forward with proposed legislation to protect titles for financial planners and financial advisors in Ontario. The proposed new framework is being developed for the financial services industry to require that individuals using the financial planner and financial advisor titles have an appropriate credential. Financial planners and financial advisors would benefit from the knowledge that professionals in their space would be held to a higher standard. Families would be able to reach their financial goals with the confidence that they are dealing with someone who has adequate training and expertise. The new title protection framework will take a measured approach to enhance consumer protection without introducing unnecessary regulatory burden, and will be mindful of the current regulatory oversight of licensees and registrants. The government’s plan responds to longstanding calls from consumers and the financial services industry to take action. It presents a significant opportunity to strengthen professionalism, and improve efficiency and competitiveness of the industry with the potential to create and retain more jobs. In developing the title protection framework, the government remains committed to engaging with stakeholders to ensure that their concerns are heard. The government is dedicated to fostering an open for business environment and is mindful of the need to ensure a smooth transition for existing experienced and well-qualified professionals. The government is committed to working with the new Financial Services Regulatory Authority (FSRA) of Ontario to make it fully operational, with a focus on reducing red tape and finding more efficient and effective ways to deliver regulatory services. The government will be moving forward with launching the new FSRA, targeted for June 2019, including completing the amalgamation with the Deposit Insurance Corporation of Ontario, as first announced in the 2018 Ontario Economic Outlook and Fiscal Review . Proposed amendments to the Credit Unions and Caisses Populaires Act, 1994, the Pension Benefits Act, the Financial Services Tribunal Act, 2017, the Insurance Act and the Financial Services Regulatory Authority of Ontario Act, 2016, would enable the framework needed to launch FSRA as a modern and effective regulator for the financial services sector. FSRA has a transformative mandate that will enable it to regulate in a way that is open to innovative ideas, open to business and open to consumer needs. Rule-making provides a new regulator with the opportunity to re-examine existing regulatory burden, and also provides the regulator with the flexibility to address gaps and be more responsive to stakeholder needs in certain areas. To that end, the government is considering legislative and regulatory changes that would provide the FSRA with additional rule-making authority in the pension sector. In keeping with commitments to regulate the sectors more effectively, FSRA will tackle key priorities in its first year of operation that will reduce regulatory burden for regulated sectors, such as, reviewing inherited guidance, in addition to data collection and filling requirements, and establishing meaningful service standards. FSRA has also identified regulatory effectiveness as an overarching priority and will focus on priorities that protect the public interest, increase sectoral expertise, and modernize systems and processes. For many middle-class Ontario families, owning a home is becoming harder as the people of Ontario adjust to the federal government’s January 2018 mortgage rule changes. The insured and uninsured mortgage stress tests have reduced consumers’ purchasing power, and have prevented many from qualifying for a mortgage. As a result, an increasing number of buyers are turning to private financing to purchase a home. The government supports a strong regulatory framework that protects consumers, but is concerned that the federal government’s mortgage rule changes have resulted in unintended consequences in the market, and are making it harder for people to afford a home. It is within this context that in October 2018, the government appointed MPP Doug Downey, Parliamentary Assistant to the Minister of Finance, to conduct a review of the Mortgage Brokerages, Lenders and Administrators Act, 2006 . As part of this review, the Ministry of Finance conducted a public consultation earlier this year and received input from stakeholders in a number of different sectors, including banking, mortgage brokers, appraisers, insurance and legal services. The submissions received provided a number of innovative ideas on how to reduce regulatory burden to enable mortgage brokers to focus on helping their clients, including suggestions to streamline requirements for commercial mortgage transactions to better reflect business needs. MPP Downey has also consulted extensively with the mortgage broker industry, and has received detailed feedback from that sector and other related industries. MPP Downey will provide recommendations to the government in the coming months. Credit unions play an important role in communities across Ontario by providing financial products and services to their 1.6 million members. The Credit Unions and Caisses Populaires Act, 1994 has been in force for 25 years, and has been criticized by sector participants for being outdated. The credit union sector has advocated for the government to introduce new legislation to replace the existing Act. 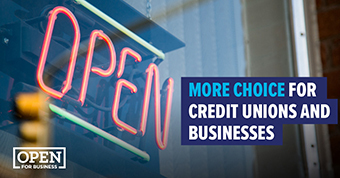 The government has already enacted regulatory amendments to allow credit unions to enter into syndicated loan agreements led by banks and federally regulated credit unions, helping to open Ontario for business. The government is committed to reviewing this outdated legislation. The new, modern legislation will reduce regulatory burden for Ontario’s credit unions and caisses populaires, enabling them to be more agile and competitive while continuing to meet the needs of their members. Co-operative corporations are an important part of Ontario’s economy, and play a role in revitalizing and sustaining communities. They operate in a variety of sectors, providing important products and services to their members. Earlier this year, the government conducted a public consultation regarding the Co-operative Corporations Act , with the goal of modernizing the legislation, finding efficiencies and cutting red tape. The government heard from representatives across the different sectors in which co-operatives do business in Ontario. The government will consider the feedback received through the consultation process, and will work with co-operative sector representatives to propose amendments to the legislation. Target benefit pension plans, which provide a monthly income stream in retirement with predictable contributions for employers, offer an alternative pension plan model, combining features of both the defined benefit and defined contribution pension plan models. The government is committed to working with affected stakeholders to implement a permanent framework for target benefit plans in Ontario. In response to stakeholder feedback, the government intends to move forward with a target benefit framework which would allow more multi-employer pension plans, including those in the non-unionized not-for-profit sector to participate in the framework. As a first step, legislative changes are being proposed which, if passed, would expand the eligibility criteria for the target benefit framework to include non-unionized multi-employer pension plans, in addition to collectively bargained multi-employer pension plans. The government will continue to work with stakeholders as it develops further elements of the target benefit framework, including the funding framework. The introduction of this expanded framework paves the way for increased pension coverage as more Ontario workplaces will be able to provide employees with defined benefit-like pensions at a more predictable cost for employers. Currently, most pension plans rely on paper-based options to communicate with their members, unless a member has consented to communicate electronically. This is more costly and inefficient than the paperless alternative. The government is considering future legislative changes to the Pension Benefits Act to modernize the pension sector and streamline pension plan administration by permitting plans to use electronic communication as the default method, with appropriate safeguards, to provide pension plan information to their members. Going paperless could significantly reduce the cost of administration for pension plans, and could allow plans to more effectively engage and communicate with plan members. However, the government recognizes that different methods of communication work better for different people. This is why members would be given the option to continue to receive paper documents if desired. Consistent with the amendments made to the Pension Benefits Act in the fall of 2018, which allow administrators of pension plans to permit electronic beneficiary designations, the government is proposing amendments to the Insurance Act that, if passed, would clarify that insurers may accept electronic beneficiary designations, subject to any requirements that may be prescribed in a rule by the Financial Services Regulatory Authority of Ontario. This infographic describes the government’s Open for Business, Open for Jobs Strategy. The vision is stated as: connecting more workers to good jobs. This vision is supported by three pillars. The first pillar is Open for Business, which includes lowering business costs, cutting red tape, supporting key sectors and regions and promoting Ontario internationally. The second pillar is a skilled workforce, which includes helping employers attract skilled workers, aligning postsecondary funding with labour market outcomes, modernizing the apprenticeship and skilled trades system and reviewing employment and training services. The third pillar is government supporting job creation and business investment, which includes ensuring sustainable public finances, creating confidence in capital markets and financial services, reducing red tape in the pension sector, investing in infrastructure – including broadband, and delivering quality health care, education and social services. There are three outcomes of the strategy. The outcomes are increased employment, greater job creation driven by the private sector, and reducing regional disparities in jobs and growth. This bar chart illustrates savings for Ontario businesses. 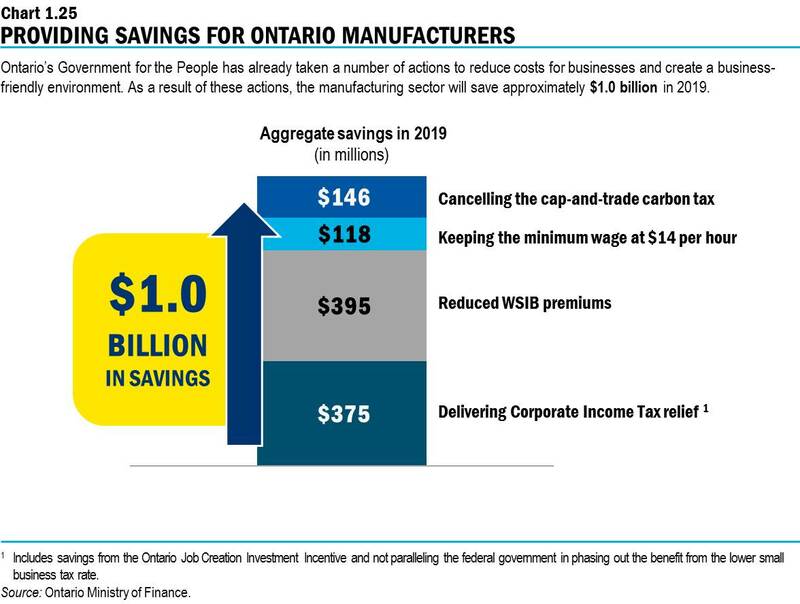 Actions taken by Ontario’s Government for the People will save Ontario businesses approximately $5.0 billion in 2019. This includes combined savings from cancelling the cap-and-trade carbon tax ($880 million), keeping the minimum wage at $14 per hour ($1,290 million), reduced WSIB premiums ($1,385 million), and delivering Corporate Income Tax relief ($1,395 million). 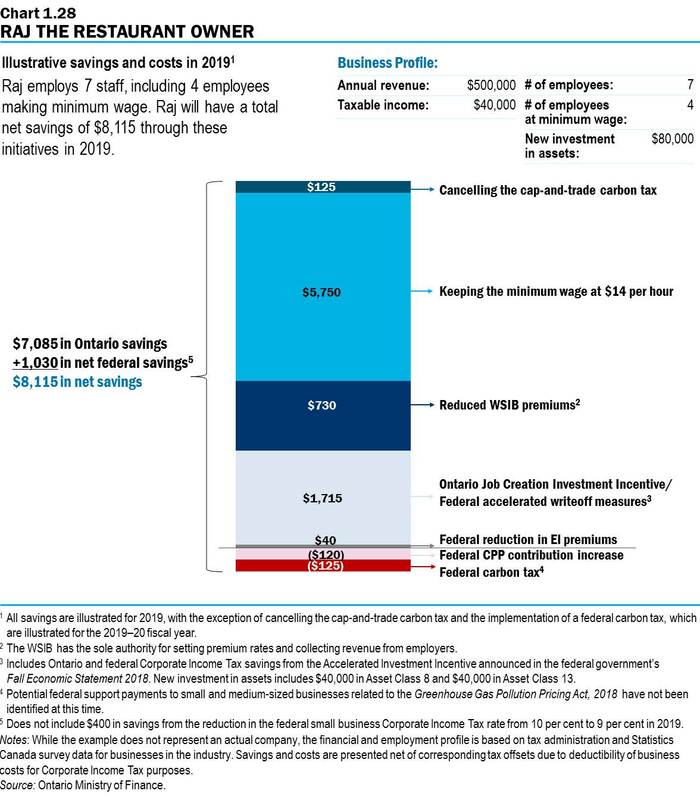 Notes: Estimated savings from delivering Corporate Income Tax relief include savings from the Ontario Job Creation Investment Incentive and savings from not paralleling the federal government in phasing out the benefit from the lower small business tax rate. The marginal effective tax rate (METR) is a comprehensive measure of the tax burden on new business investment. It takes into account federal and provincial/state Corporate Income Taxes, capital taxes and sales taxes, and excludes the resource and financial sectors and tax provisions related to research and development. This bar chart shows that before U.S. federal tax reform, the average U.S. METR was 29.8 per cent (2017). After U.S. federal tax reform, the average U.S. METR dropped to 18.7 per cent (2019). 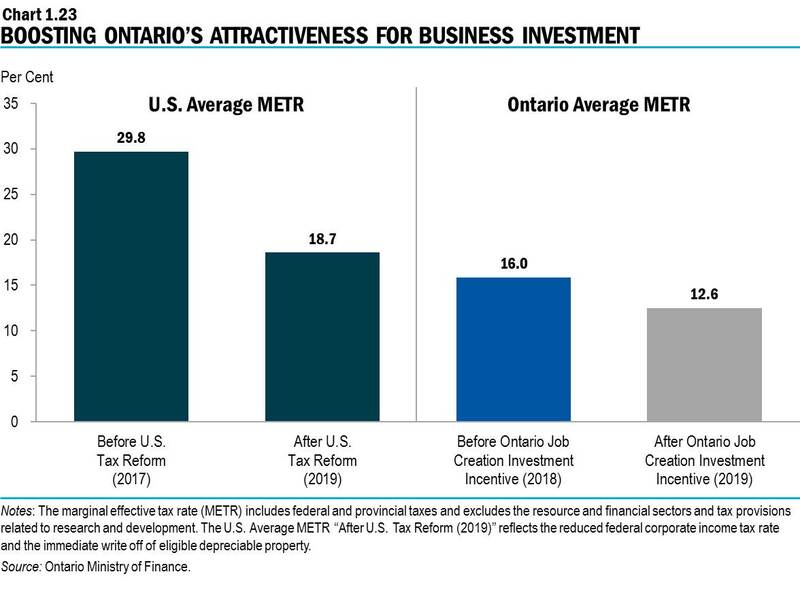 Before the Ontario Job Creation Investment Incentive, Ontario’s average METR was 16 per cent (2018) and after the Ontario Job Creation Investment Incentive, Ontario’s average METR was reduced to 12.6 per cent (2019). METR estimates are provided by the Ontario Ministry of Finance. The bar chart provides two examples that compare the combined federal and Ontario Corporate Income Tax savings on a $1 million investment before and after the immediate writeoff measure and the Accelerated Investment Incentive. Both examples assume the company claims the maximum writeoff allowed. The manufacturing machinery example (Asset Class 53) assumes the corporation pays tax at the Ontario manufacturing and processing rate of 10 per cent; the data network equipment example (Asset Class 46) assumes the corporation pays tax at the Ontario general rate of 11.5 per cent. In both examples, the federal Corporate Income Tax rate is 15 per cent. The first example on the left illustrates a manufacturing machinery investment of $1 million. Before the immediate writeoff measure came into effect, the first year Corporate Income Tax savings would have been $62,500 (Ontario tax savings of $25,000 plus federal tax savings of $37,500). This compares to first year Corporate Income Tax savings of $250,000 (Ontario tax savings of $100,000 plus federal tax savings of $150,000) after the immediate writeoff measure came into effect. The immediate writeoff measure saves this company $187,500 in federal and Ontario Corporate Income Tax in the first year. The second example on the right illustrates a data network equipment investment of $1 million. Before the Accelerated Investment Incentive came into effect, the first year Corporate Income Tax savings would have been $39,750 (Ontario tax savings of $17,250 plus federal tax savings of $22,500). This compares to first year Corporate Income Tax savings of $119,250 (Ontario tax savings of $51,750 plus federal tax savings of $67,500) after the Accelerated Investment Incentive came into effect. The Accelerated Investment Incentive saves this company $79,500 in federal and Ontario Corporate Income Tax in the first year. This bar chart illustrates savings for the manufacturing sector. Ontario’s Government for the People has already taken a number of actions to reduce costs for businesses and create a business-friendly environment. As a result of these actions, the manufacturing sector will save approximately $1.0 billion in 2019. This includes combined savings from cancelling the cap-and-trade carbon tax ($146 million), keeping the minimum wage at $14 per hour ($118 million), reduced WSIB premiums ($395 million), and delivering Corporate Income Tax relief ($375 million). The infographic lists Driving Prosperity’s three pillars, as well as each pillar’s action items. Reduce business costs and taxation. Increase commercialization and scale-up of technology. Strengthen and formalize Ontario’s technical education pathways. This bar chart illustrates savings and costs in 2019 for Raj the restaurant owner. Raj employs seven staff, including four employees making minimum wage. Raj will have a total net savings of $8,115 in 2019 through the following initiatives: savings from cancelling the cap-and-trade carbon tax ($125), keeping the minimum wage at $14 per hour ($5,750), reduced WSIB premiums ($730), the Ontario Job Creation Investment Incentive/federal accelerated writeoff measures ($1,715), and the federal reduction in EI premiums ($40) as well as costs from the federal CPP contribution increase (-$120) and federal carbon tax (-$125). Raj will have $7,085 in Ontario savings and $1,030 in net federal savings for an overall net savings of $8,115. This example has the following business profile: annual revenue of $500,000, taxable income of $40,000, seven employees including four at minimum wage and new investment in assets of $80,000. Notes: While the example does not represent an actual company, the financial and employment profile is based on tax administration and Statistics Canada survey data for businesses in the industry. Savings and costs are presented net of corresponding tax offsets due to deductibility of business costs for Corporate Income Tax purposes. All savings are illustrated for 2019, with the exception of cancelling the cap-and-trade carbon tax and implementing a federal carbon tax, which are illustrated for the 2019–20 fiscal year. The Ontario Job Creation Investment Incentive/federal accelerated writeoff measures includes Ontario and federal Corporate Income Tax savings from the Accelerated Investment Incentive announced in the federal government’s Fall Economic Statement 2018 . New investments in assets includes $40,000 in Asset Class 8 and $40,000 in Asset Class 13. Potential federal support payments to small and medium-sized businesses related to the Greenhouse Gas Pollution Pricing Act, 2018 have not been identified at this time. 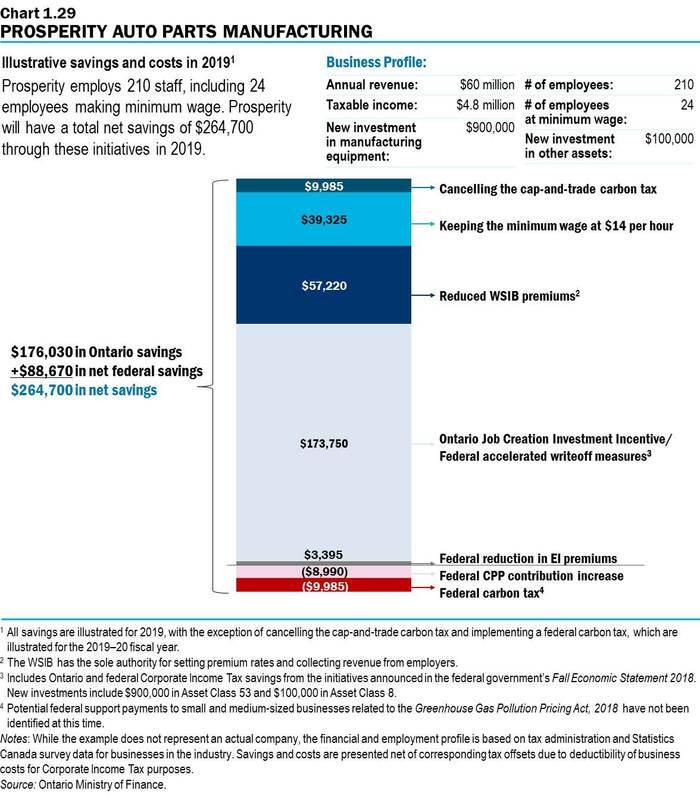 Net federal savings does not include $400 in savings from the reduction in the federal small business Corporate Income Tax rate from 10 per cent to 9 per cent in 2019. This bar chart illustrates savings and costs in 2019 for Prosperity Auto Parts Manufacturing. Prosperity employs 210 staff, including 24 employees making minimum wage. 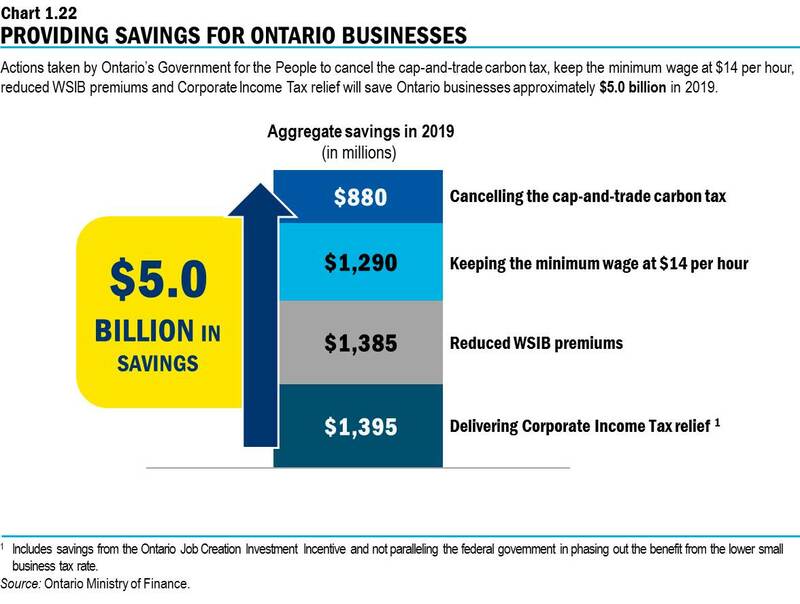 Prosperity will have a total net savings of $264,700 in 2019 through the following initiatives: savings from cancelling the cap-and-trade carbon tax ($9,985), keeping the minimum wage at $14 per hour ($39,325), reduced WSIB premiums ($57,220), the Ontario Job Creation Investment Incentive/federal accelerated writeoff measures ($173,750), and the federal reduction in EI premiums ($3,395) as well as costs from the federal CPP contribution increase (-$8,990) and federal carbon tax (-$9,985). Prosperity will have $176,030 in Ontario savings and $88,670 in net federal savings for an overall net savings of $264,700. This example has the following business profile: annual revenue of $60 million, taxable income of $4.8 million, 210 employees including 24 at minimum wage, new investment in manufacturing equipment of $900,000 and new investment in other assets of $100,000. Notes: While the example does not represent an actual company, the financial and employment profile is based on tax administration and Statistics Canada survey data for businesses in the industry. Savings and costs are presented net of corresponding tax offsets due to deductibility of business costs for Corporate Income Tax purposes. All savings are illustrated for 2019, with the exception of cancelling the cap-and-trade carbon tax and implementing a federal carbon tax, which are illustrated for the 2019–20 fiscal year. The Ontario Job Creation Investment Incentive/federal accelerated writeoff measures includes Ontario and federal Corporate Income Tax savings from the initiatives announced in the federal government’s Fall Economic Statement 2018 . New investments include $900,000 in Asset Class 53 and $100,000 in Asset Class 8. Potential federal support payments to small and medium-sized businesses related to the Greenhouse Gas Pollution Pricing Act, 2018 have not been identified at this time. 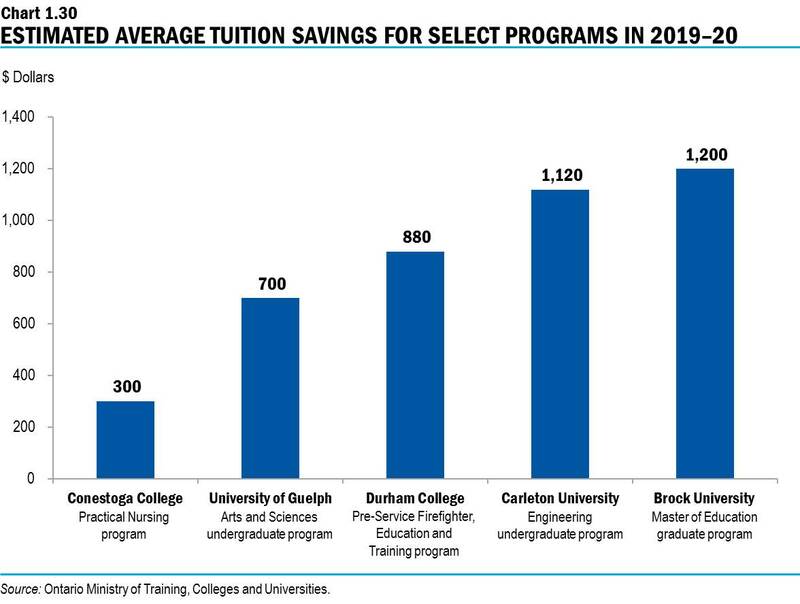 This bar chart illustrates the estimated average tuition savings for select programs in the 2019–20 academic year. A student attending Conestoga College enrolled in a Practical Nursing program will see a $300 reduction in their tuition. A student enrolled in an Arts and Sciences undergraduate program at the University of Guelph will see a savings of $700. A student enrolled in a Pre-Service Firefighter, Education and Training program at Durham College will see a reduction of $880 in their tuition. A student enrolled in an Engineering undergraduate program at Carleton University will see a tuition reduction of $1,120. A student attending Brock University enrolled in a Master of Education graduate program will see a savings of $1,200. Source: Ontario Ministry of Training, Colleges and Universities. 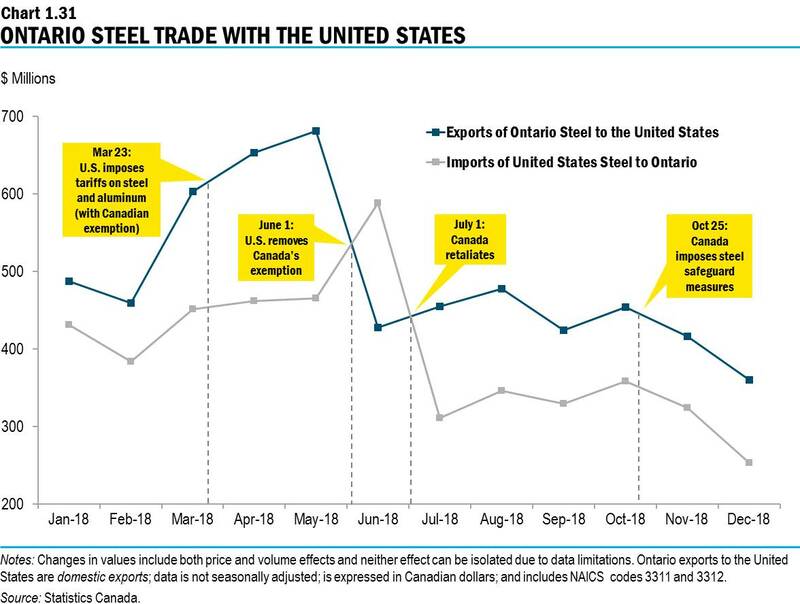 This line chart shows Ontario’s imports and exports of steel with the United States between January 2018 and December 2018. On March 23, 2018, the U.S. Administration introduced tariffs on all of its imports of steel and aluminum but exempted Canada and Mexico. Between March and May, 2018, Ontario’s exports of steel to the United States increased 13 per cent to $681 million. On June 1, 2018, the United States removed Canada’s exemption and Ontario’s exports of steel to the United States fell 37 per cent, to $428 million, by month’s end. Over the same period, Ontario’s imports of U.S. steel rose by 27 per cent to $588 million. On July 1, 2018, Canada imposed retaliatory tariffs on imports of steel, aluminum, and other goods from the United States, which was followed by a drop in Ontario’s steel imports from the United States of 47 per cent, to $311 million, by month’s end. Ontario exported $360 million of steel to the United States and imported $253 million. Exports of Ontario Steel to the U.S. Note, changes in values include both price and volume effects and neither effect can be isolated due to data limitations. Ontario exports to the United States are domestic exports ; data is not seasonally adjusted; is expressed in Canadian dollars; and includes NAICS codes 3311 and 3312. Source: Statistics Canada. This line chart shows Ontario’s total exports and imports with other provinces and territories between 2008 and 2018. Line graph showing Ontario and the Rest of Canada’s Greenhouse Gas Emissions from 2005 to 2016. Y-axis represents the GHG Emissions Index (relative to 2005 level), and ranges from 0.70 to 1.10. All data provided are approximate. Ontario data line is shown starting at 1.00 in 2005, decreasing to 0.80 in 2009, increasing to 0.85 in 2010, and then steadily decreasing to finish at 0.77 in 2016. Rest of Canada data line is shown starting at 1.00 in 2005, increasing to 1.04 in 2007, decreasing to 0.97 in 2009, increasing to 1.045 in 2013, and then decreasing to finish at 1.03 in 2016. Source: Environmental Climate Change (2018). 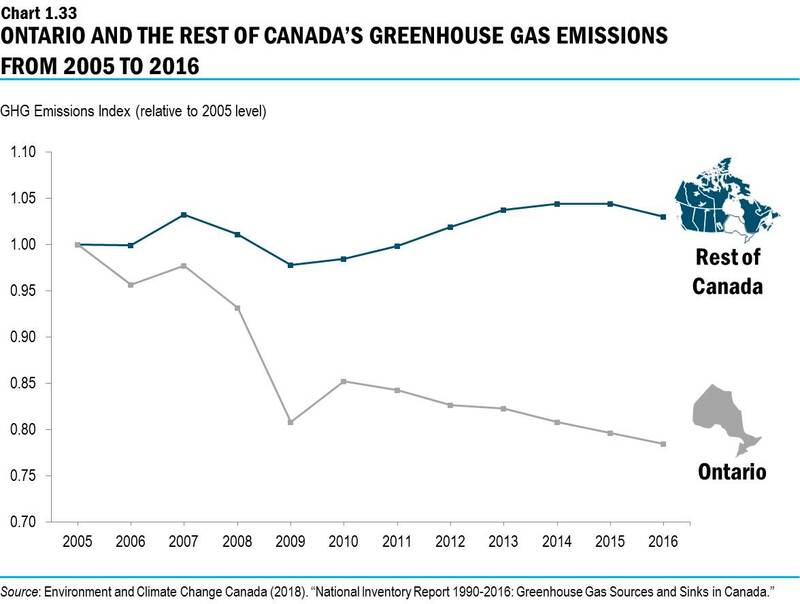 "National Inventory Report 1990–2016: Greenhouse Gas Sources and Sinks in Canada." The marginal effective tax rate provides a comprehensive measure of the tax burden on new business investment. It takes into account federal and provincial/state corporate income taxes, capital taxes and sales taxes. Statistics Canada and Ontario Ministry of Finance. The Golden Scissors Award is given out annually and recognizes politicians, public servants or other Canadians who have demonstrated leadership in cutting red tape and producing positive results for small and medium-sized businesses. John Lester, “Policy Interventions Favouring Small Business: Rationales, Results and Recommendations,” University of Calgary School of Public Policy Research Paper 10, no.11 (May 2017): 40-42. Statistics Canada, “Tuition and Living Accommodation Costs” (TLAC) survey . Weingarten, H. P., Jonker, L., Kaufman, A. & Hicks, M. (2018). University Sustainability: Expenditures. Toronto: Higher Education Quality Council of Ontario. Statistics Canada, Labour Force Survey and Ontario Ministry of Finance calculations. Ministry of Tourism, Culture and Sport and Statistics Canada, Provincial and Territorial Culture Indicators, 2010 to 2016 , released February 27, 2018. Note that figures are from a product perspective, including film and video, interactive media, books, periodicals and sound recording. Canadian Media Producers Association (CMPA), in collaboration with the Department of Canadian Heritage, Telefilm Canada, the Association québecoise de la production médiatique (AQPM) and Nordicity, Profile 2017: Economic Report on the Screen-based Media Production Industry in Canada , (February 2018), p.17. Ministry of Tourism, Culture and Sport and Statistics Canada, Provincial and Territorial Culture Indicators, 2010 to 2016 , released February 27, 2018. Note that figures are from a product perspective.